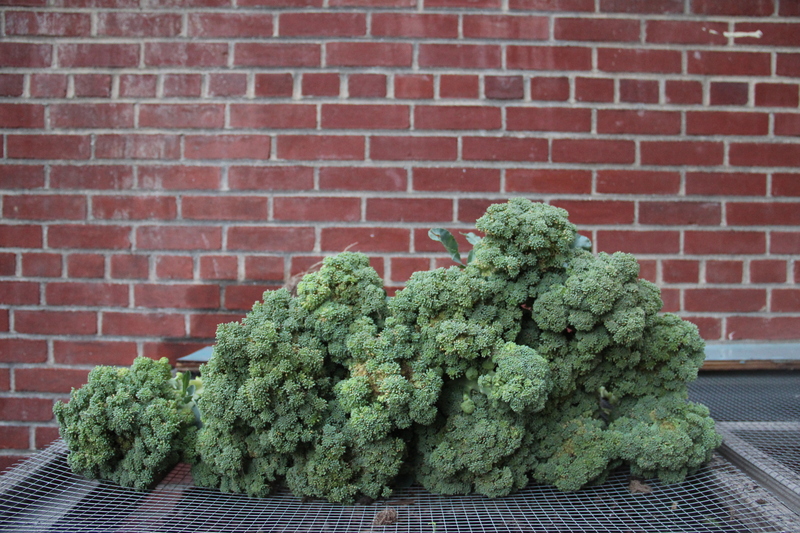 Intrigued y the name? 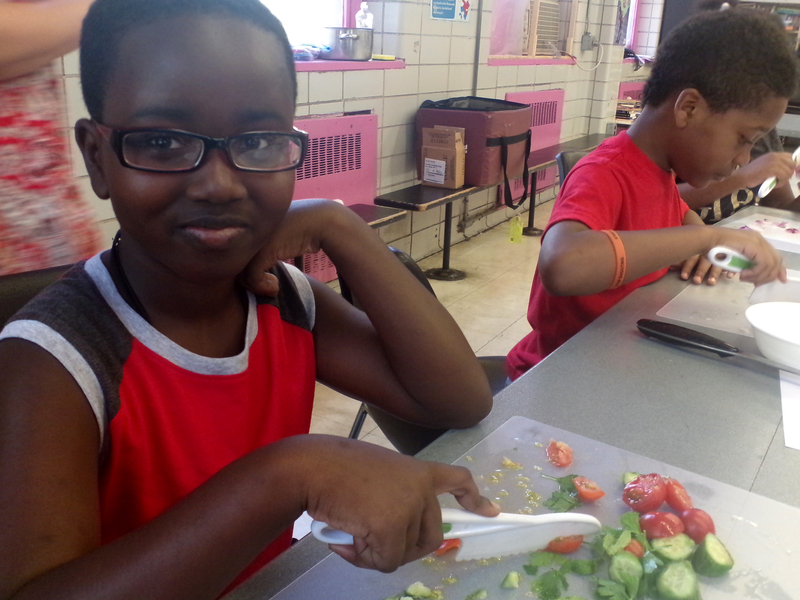 Allergic To Salad trains children to become young chefs while eating healthy. 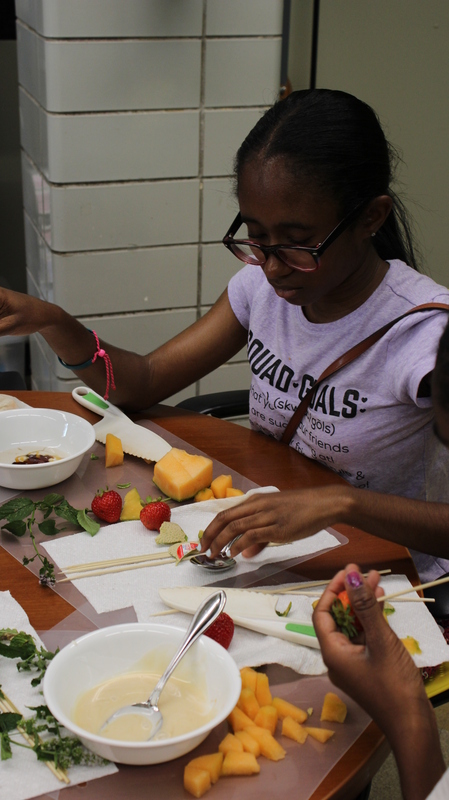 Chef Sharolyne Ramirez offered a demo on how to do fruit-kebabs! 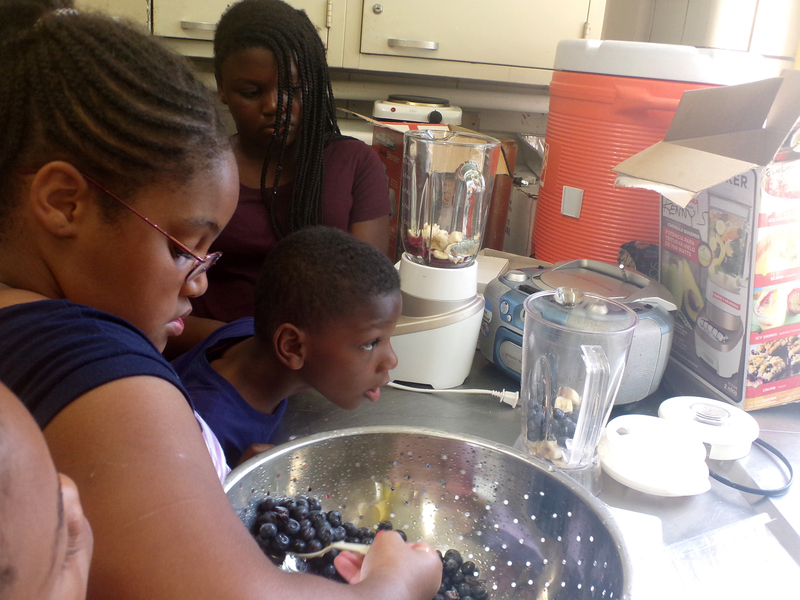 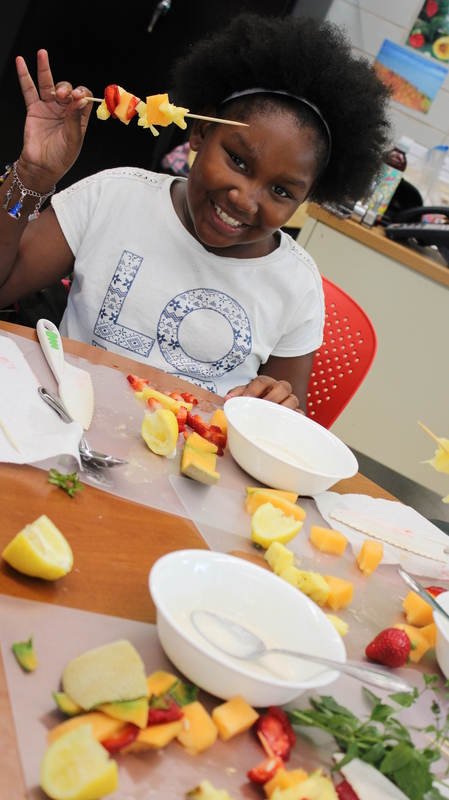 Almost twenty children participated, had fun and learned how to be creative when making a fruit salad. 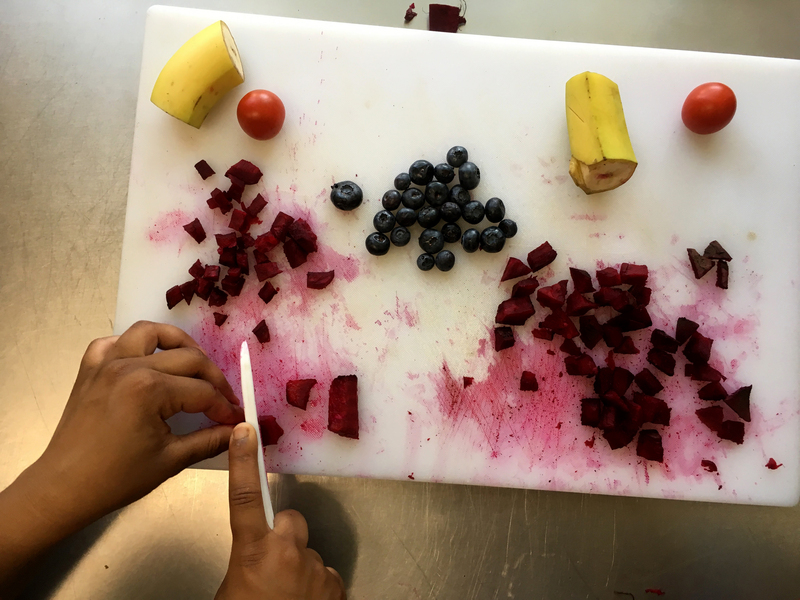 Categories: agriculture, children, cooking, food, greens, growing, health, organic | Tags: AllergicToSalad, canteloupe, FabiolaCáceres, foodlab, lemons, mint, pineapple, plantbased, strawberries, watermelon | Permalink. 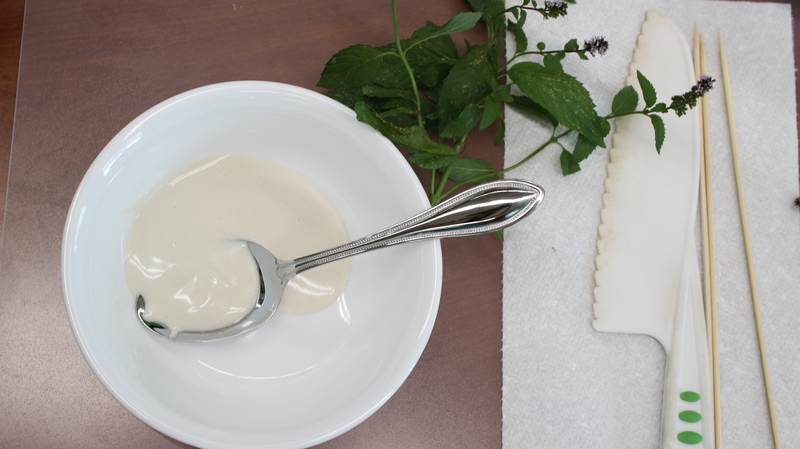 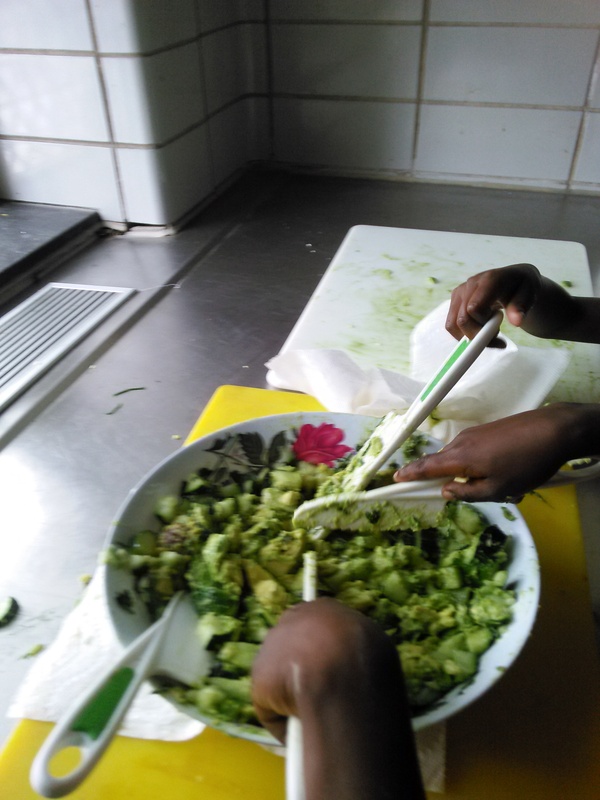 A perfect summer recipe, refreshing and easy for the children to make on their own. 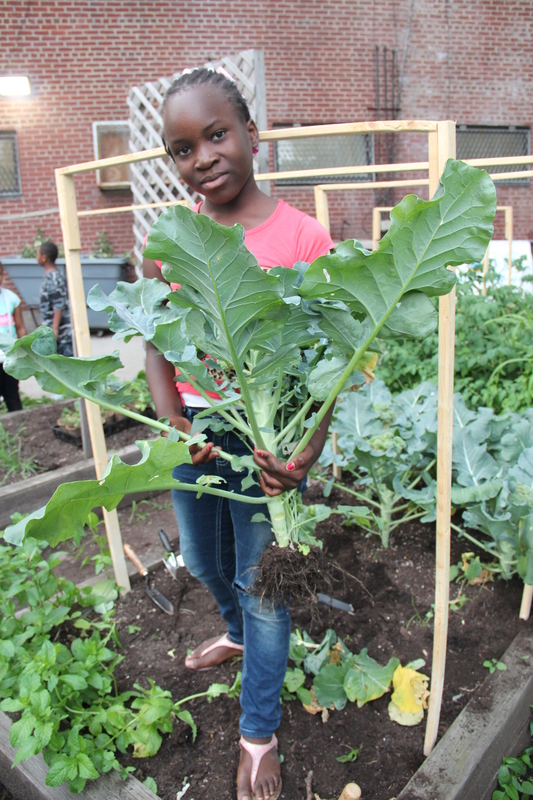 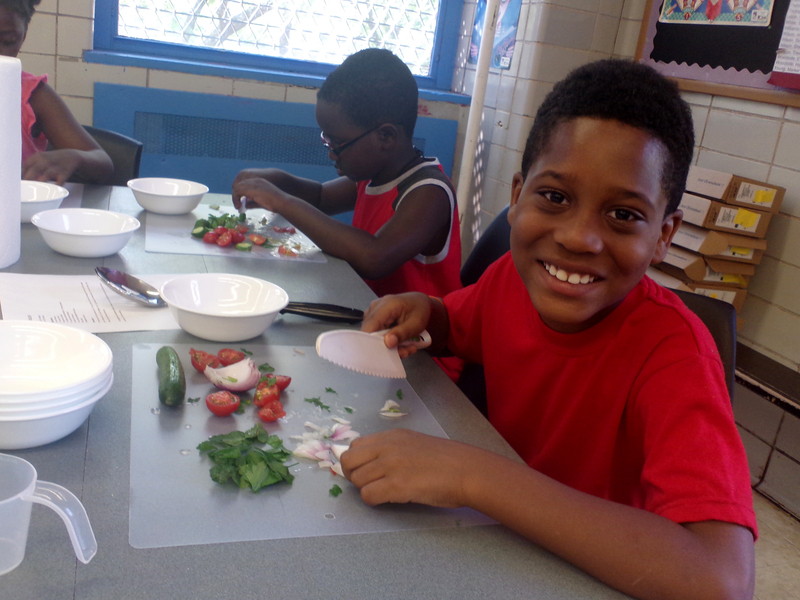 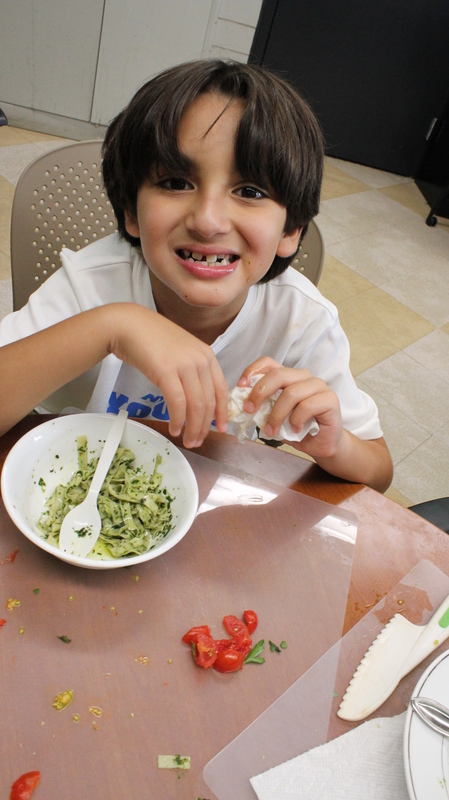 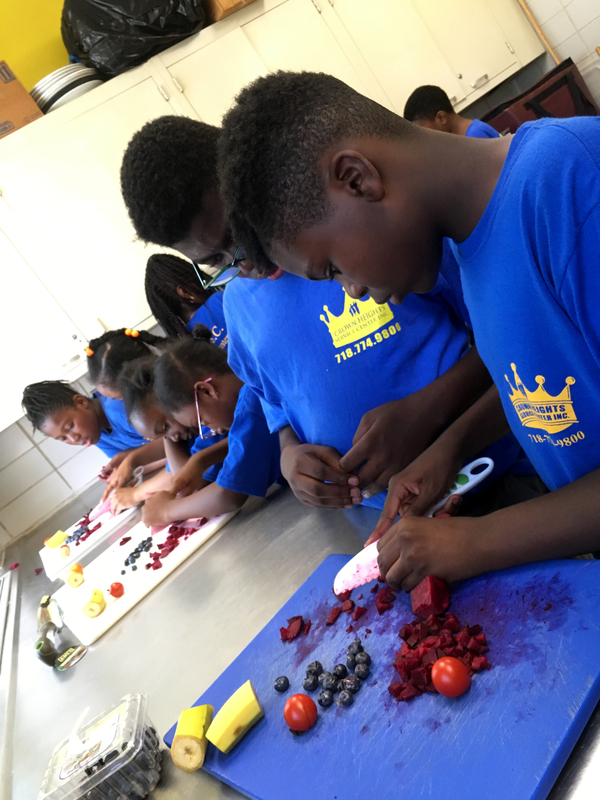 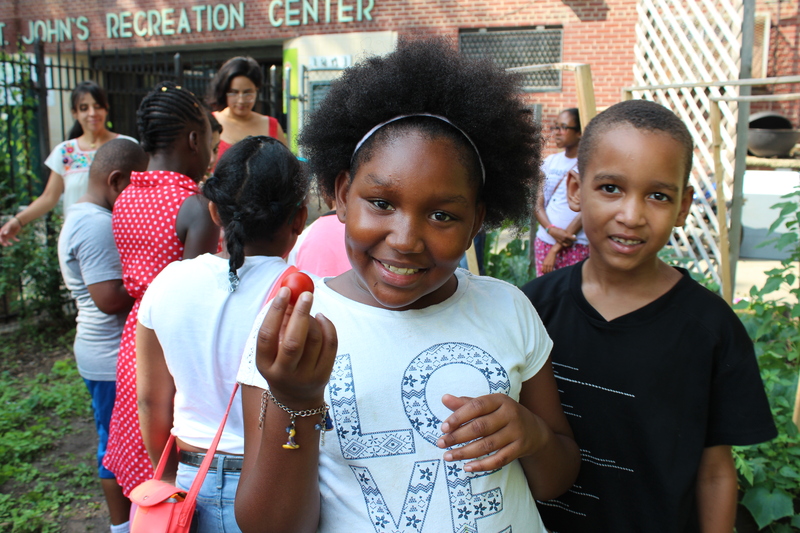 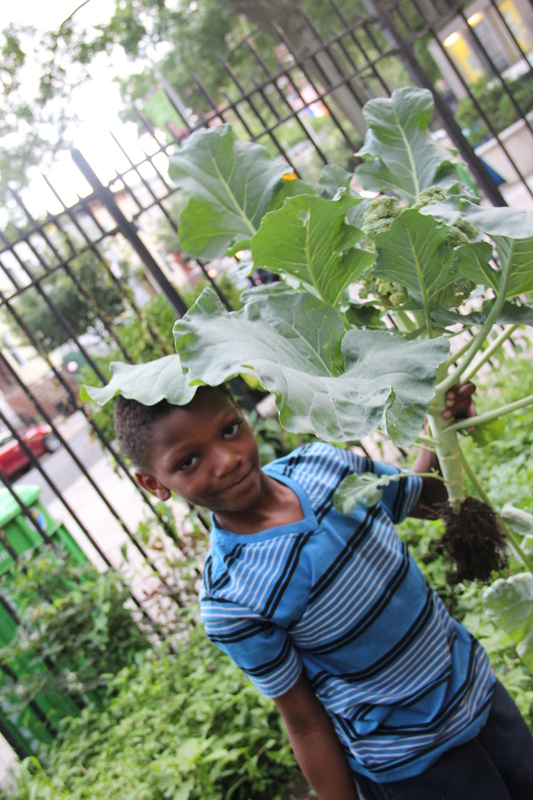 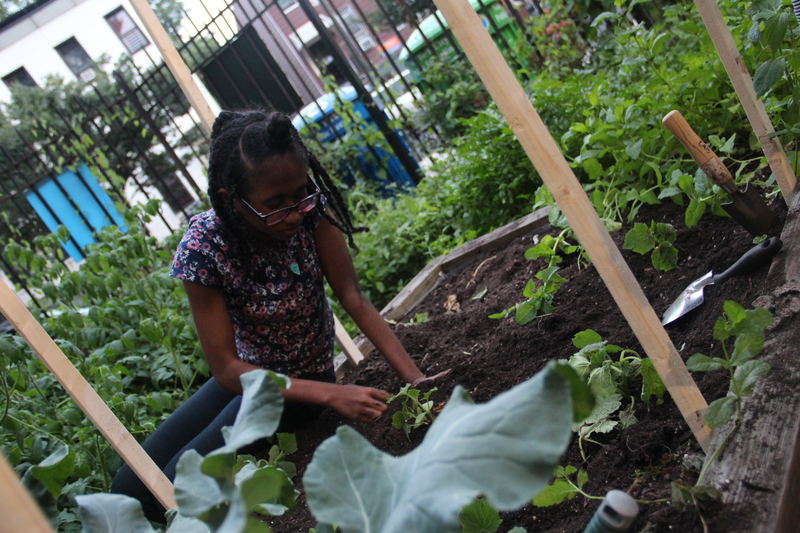 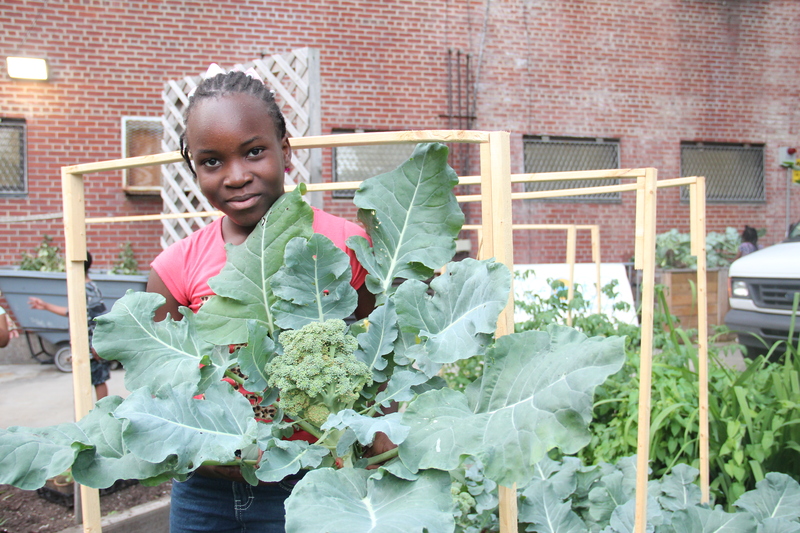 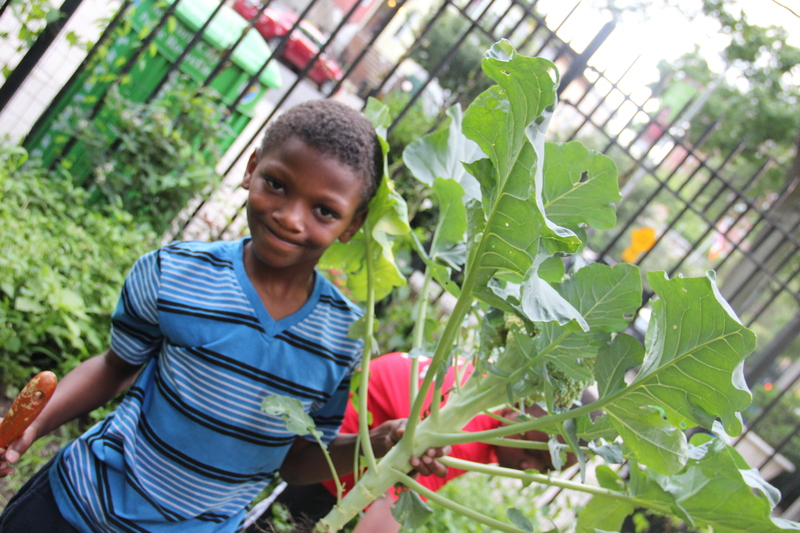 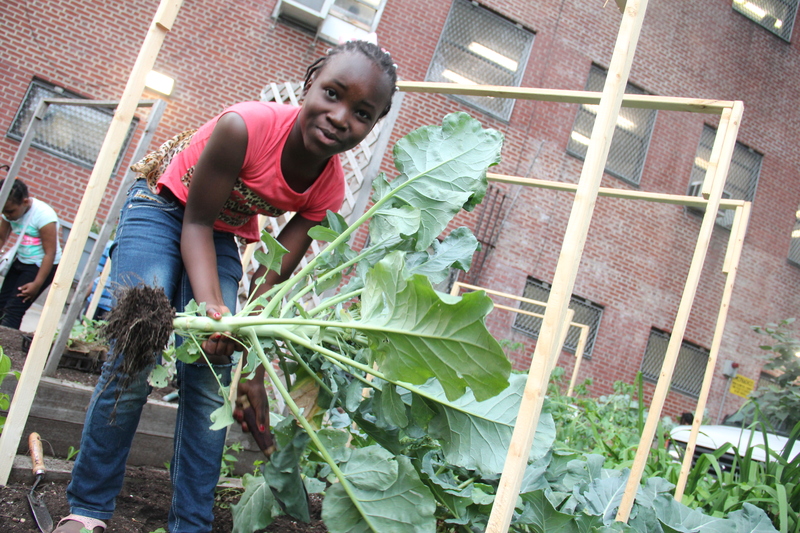 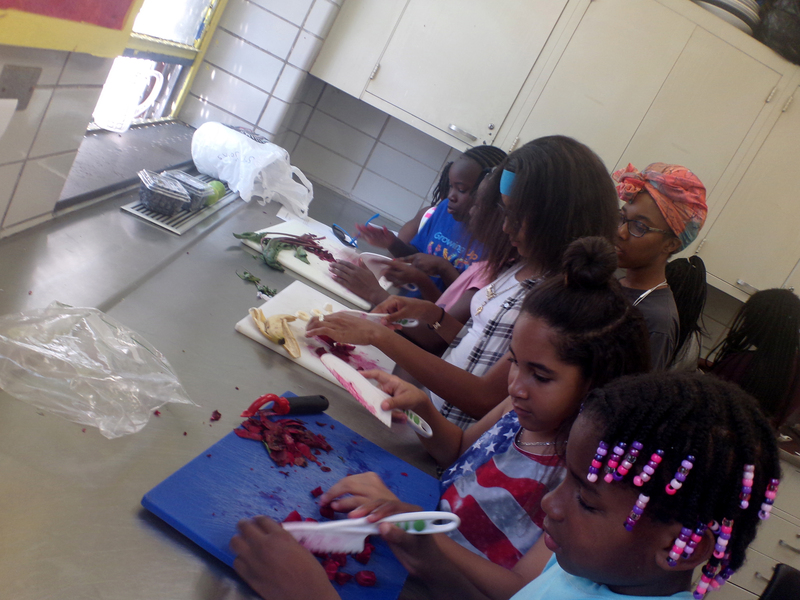 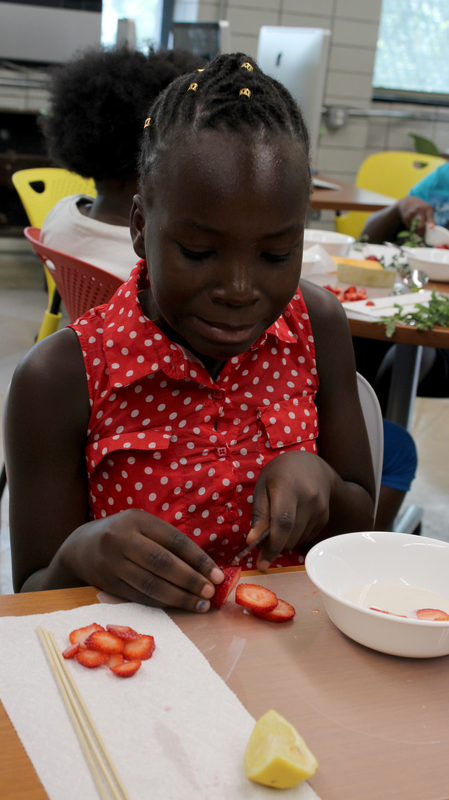 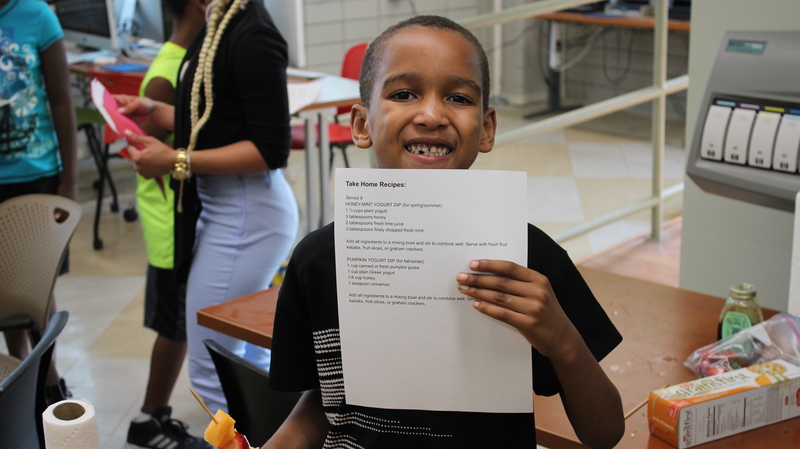 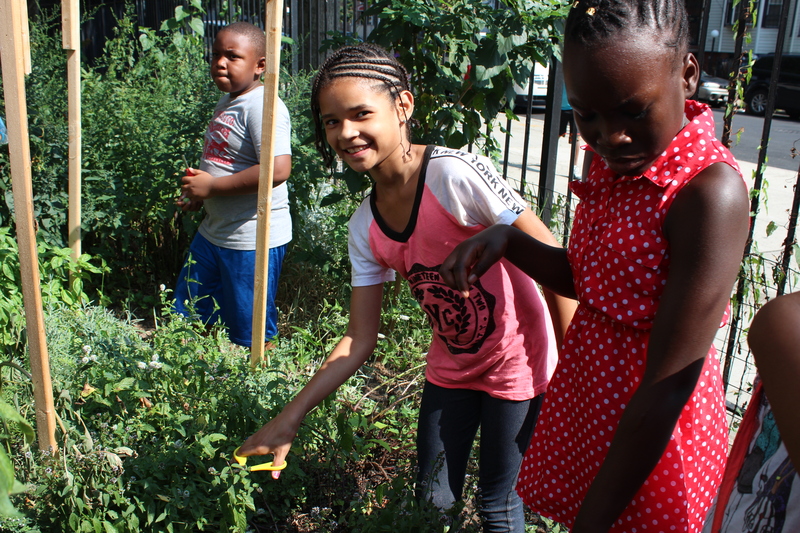 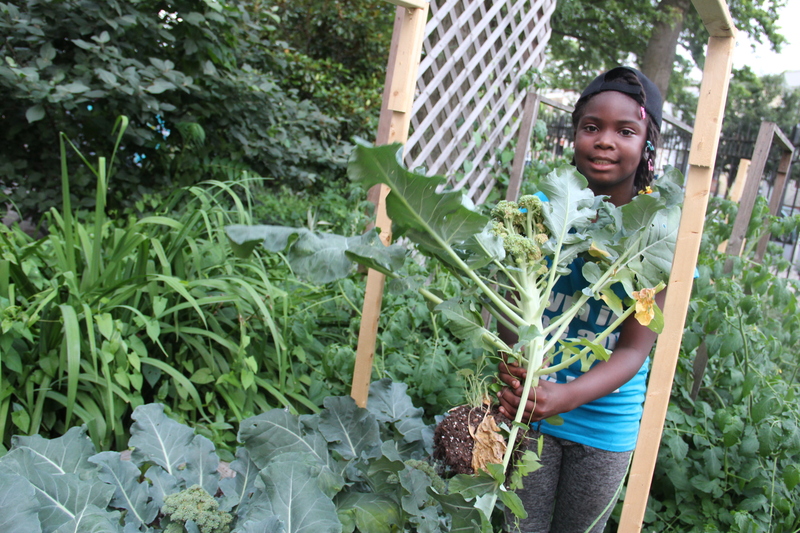 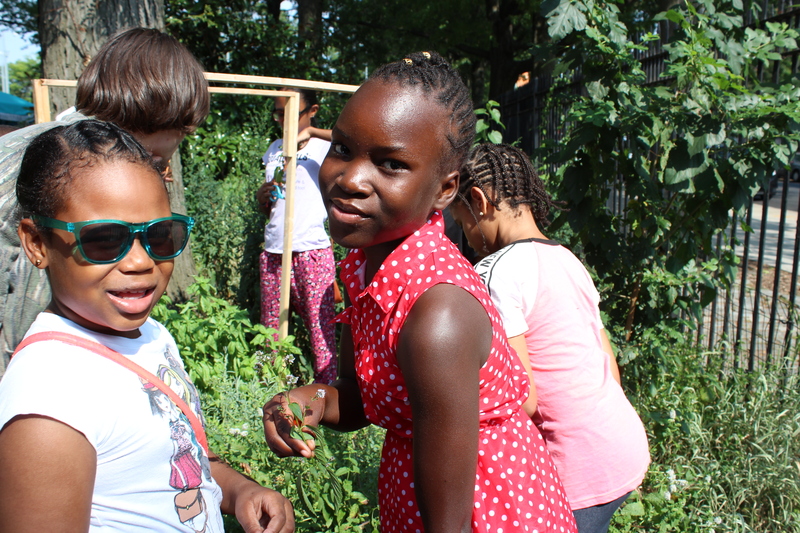 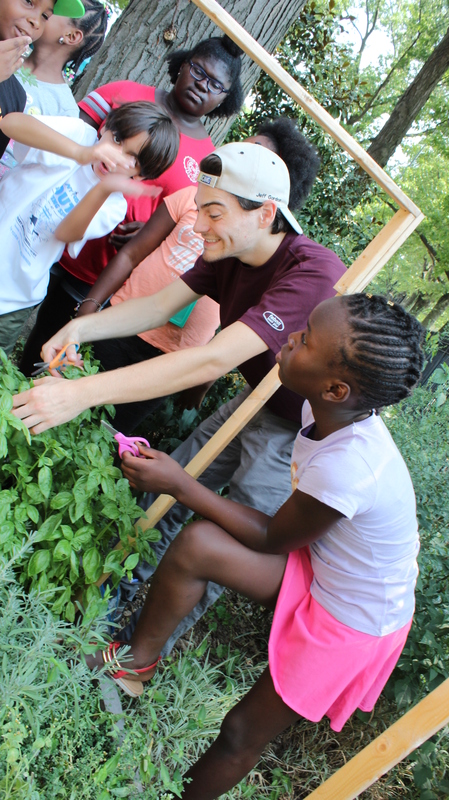 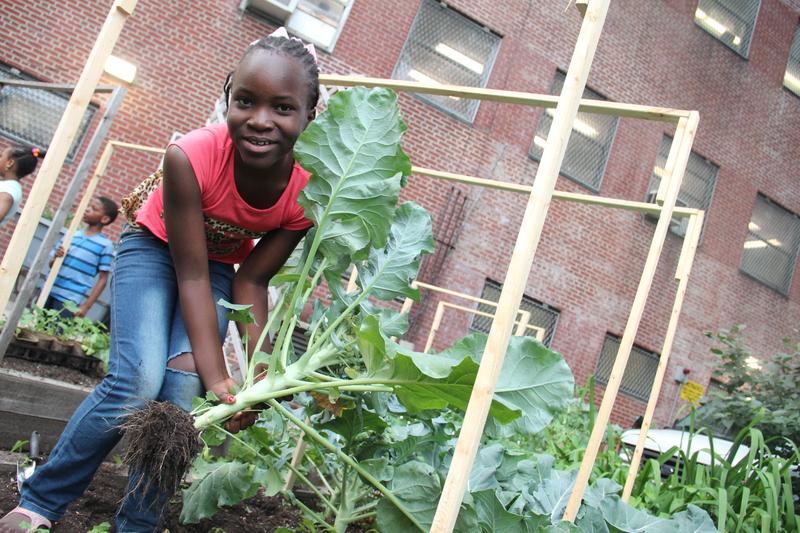 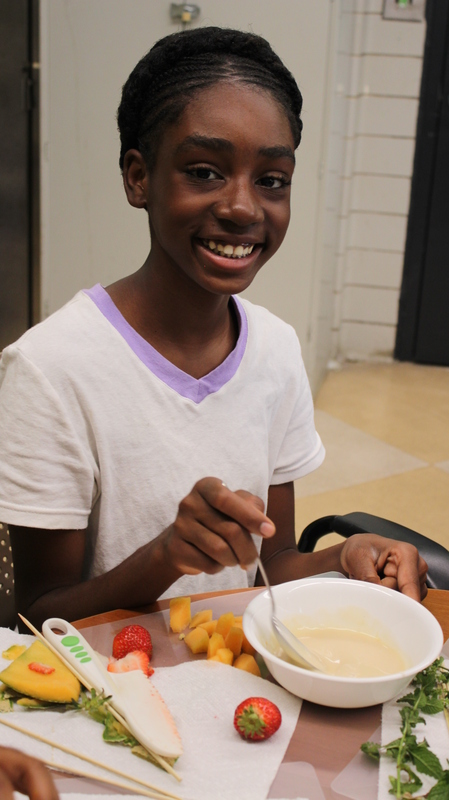 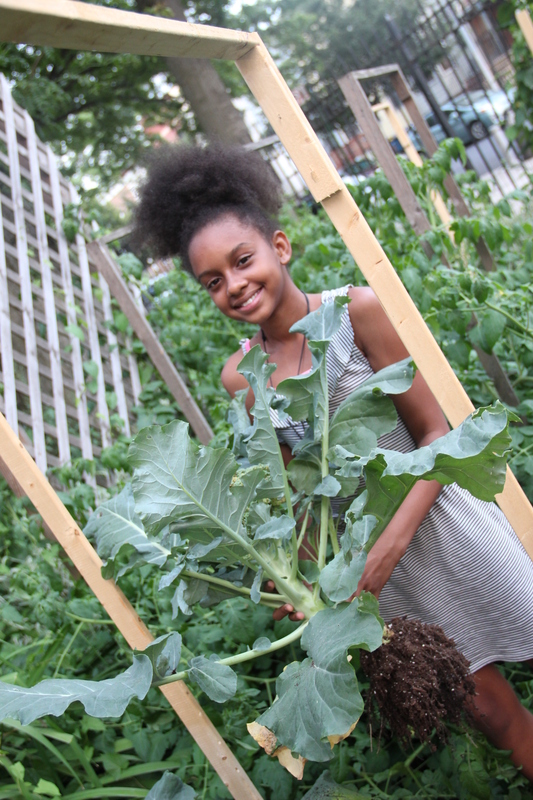 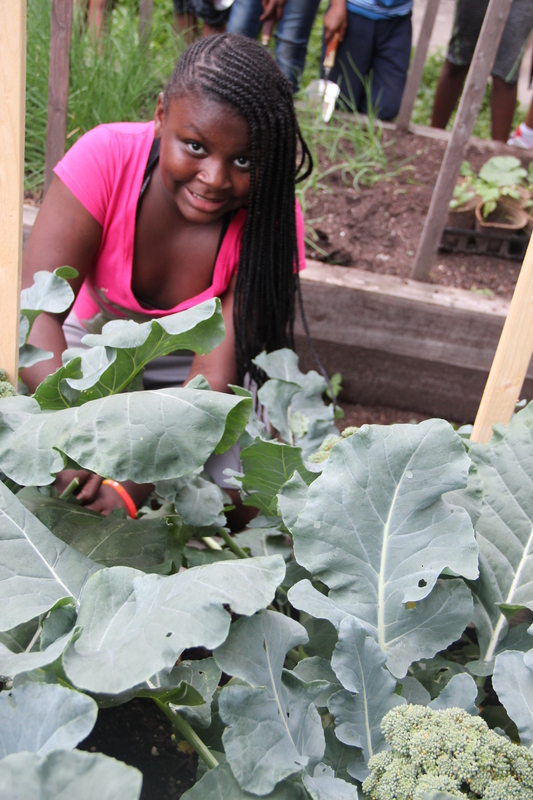 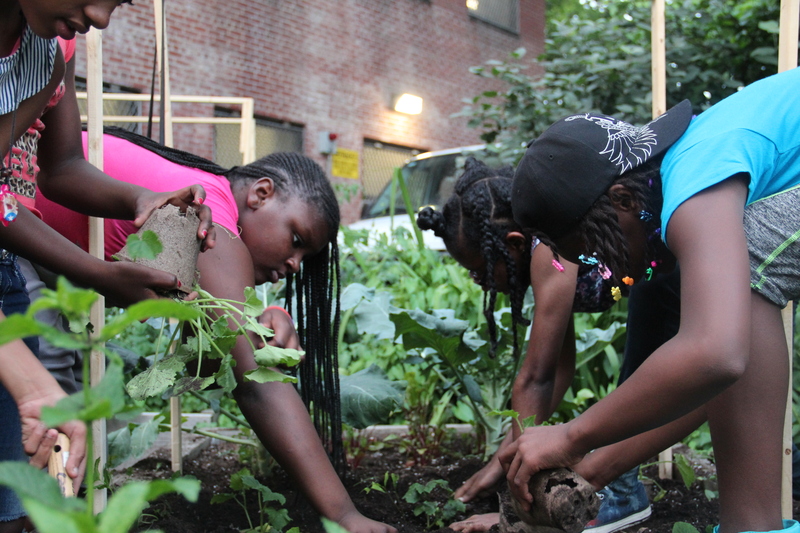 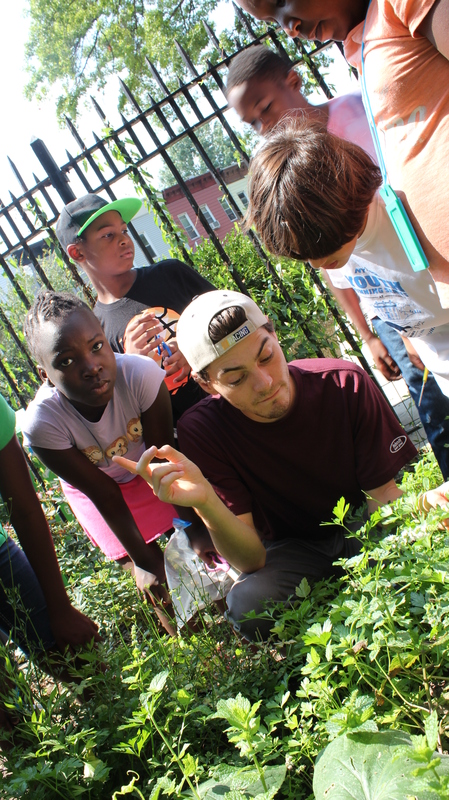 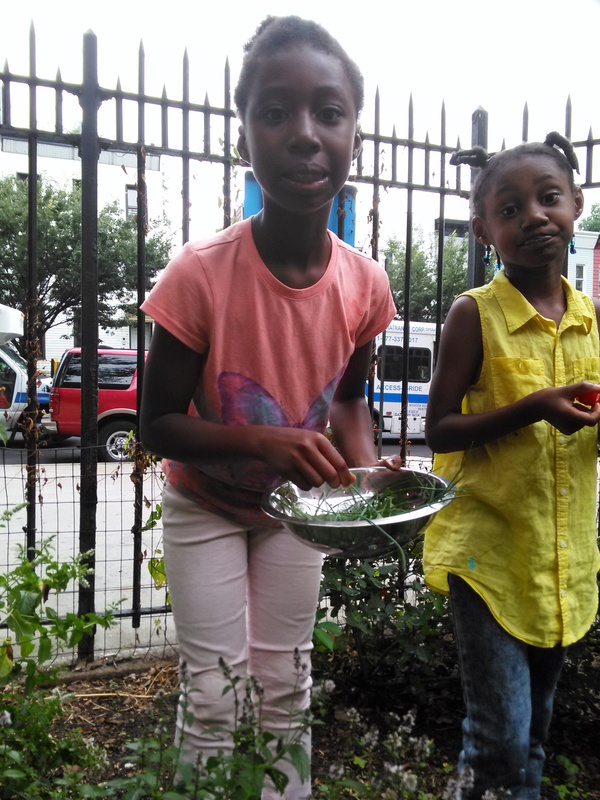 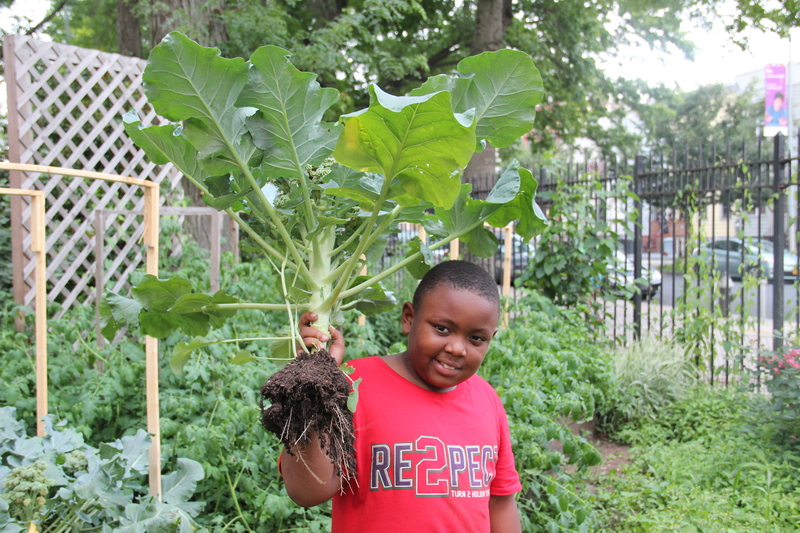 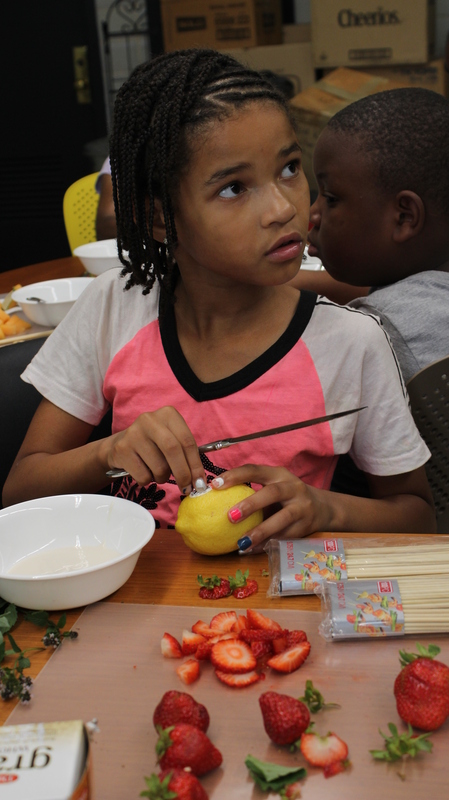 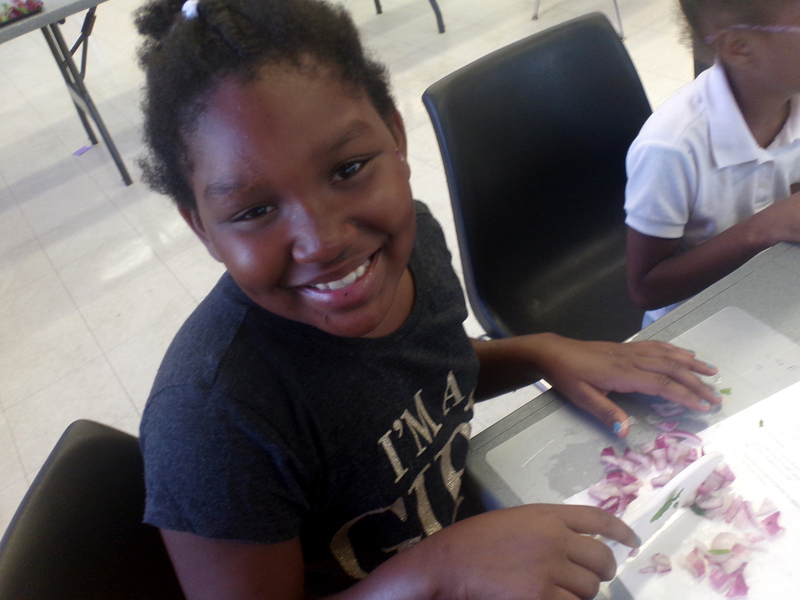 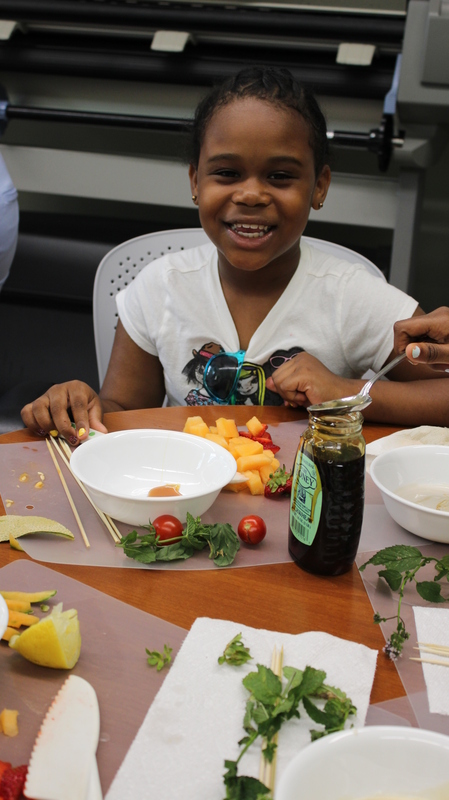 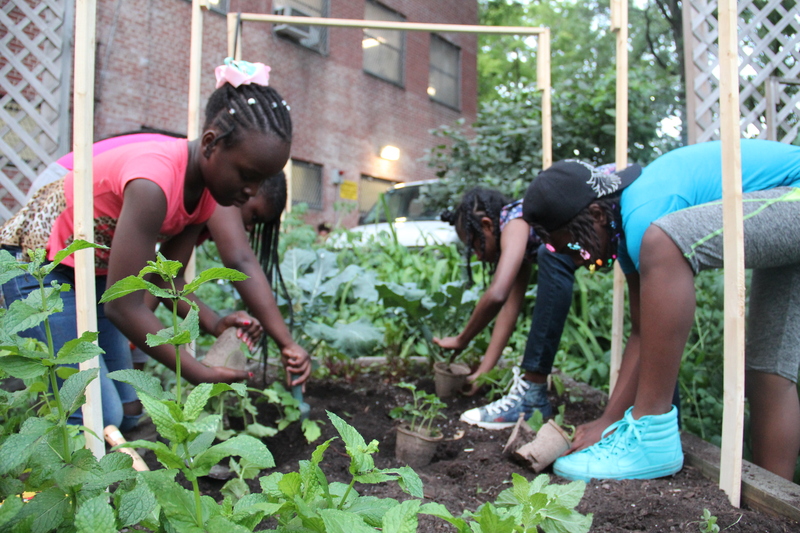 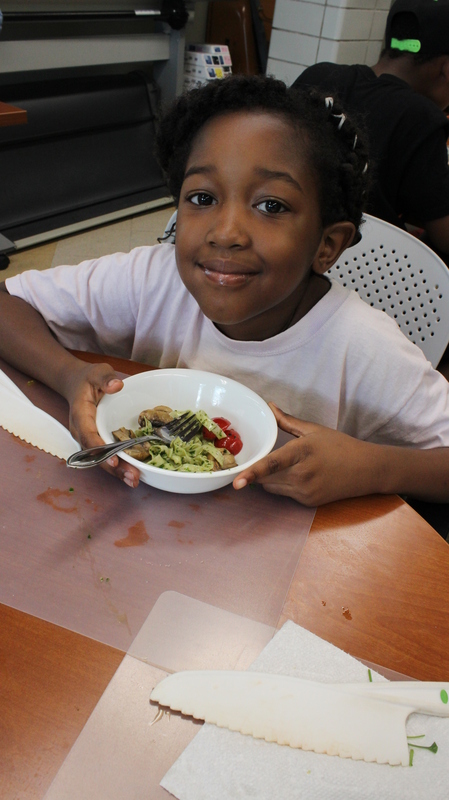 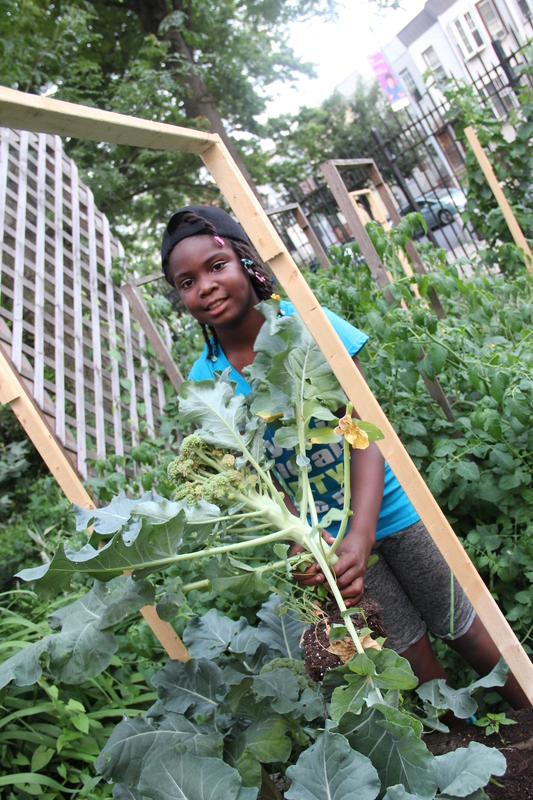 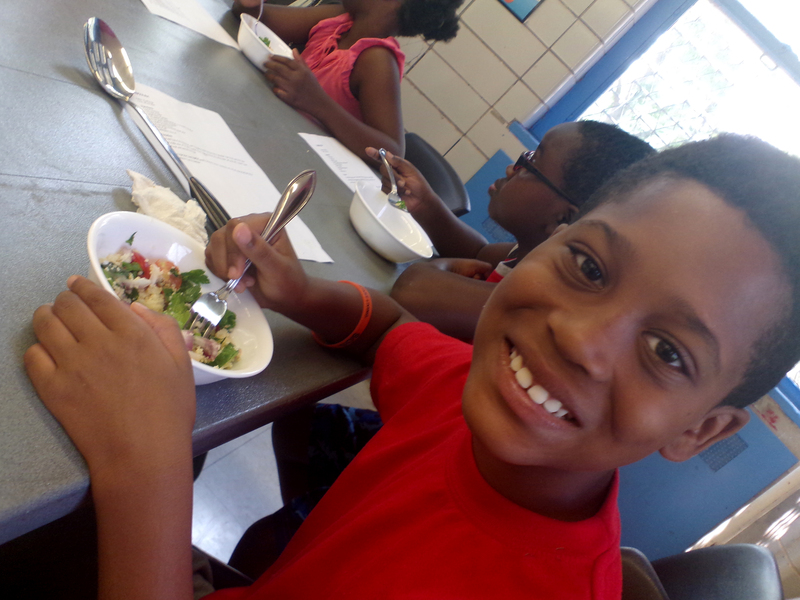 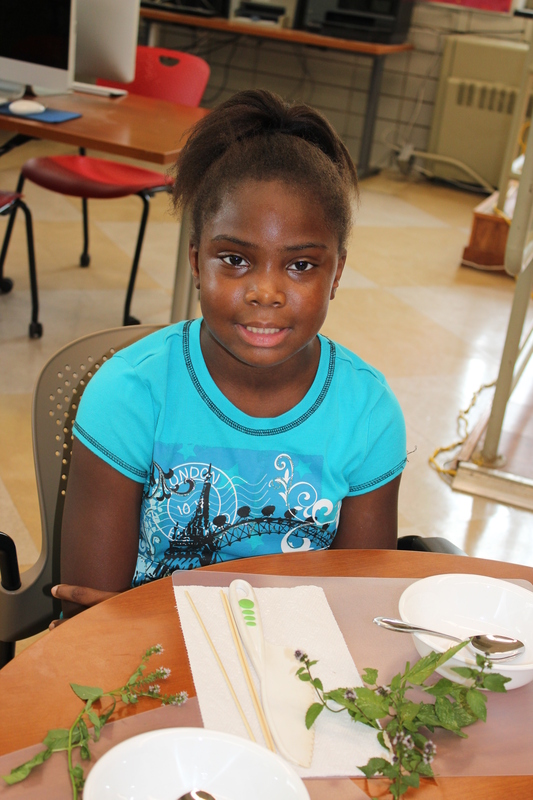 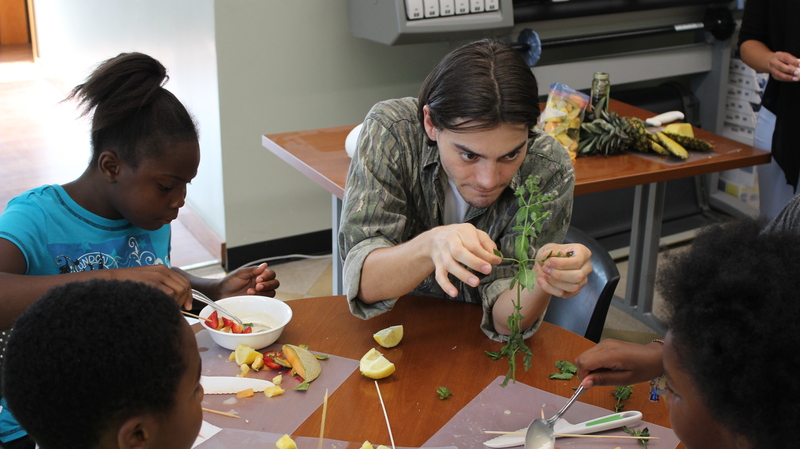 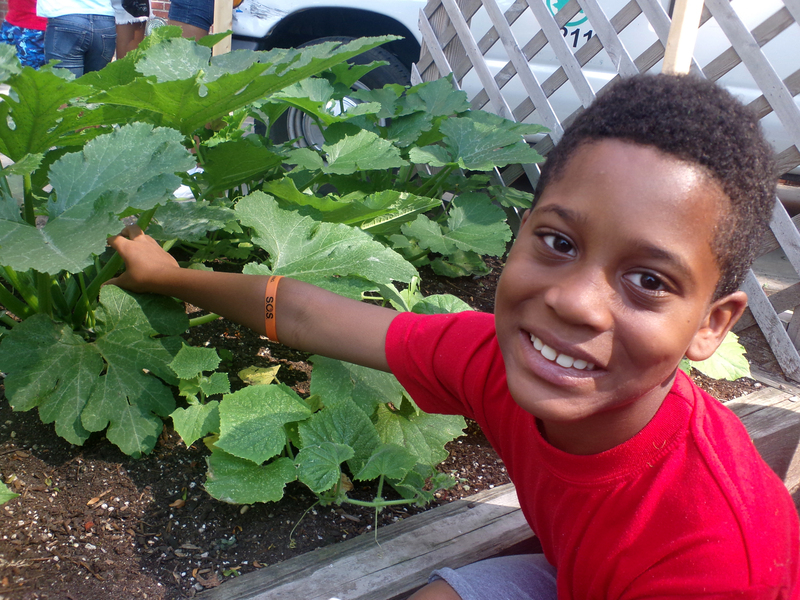 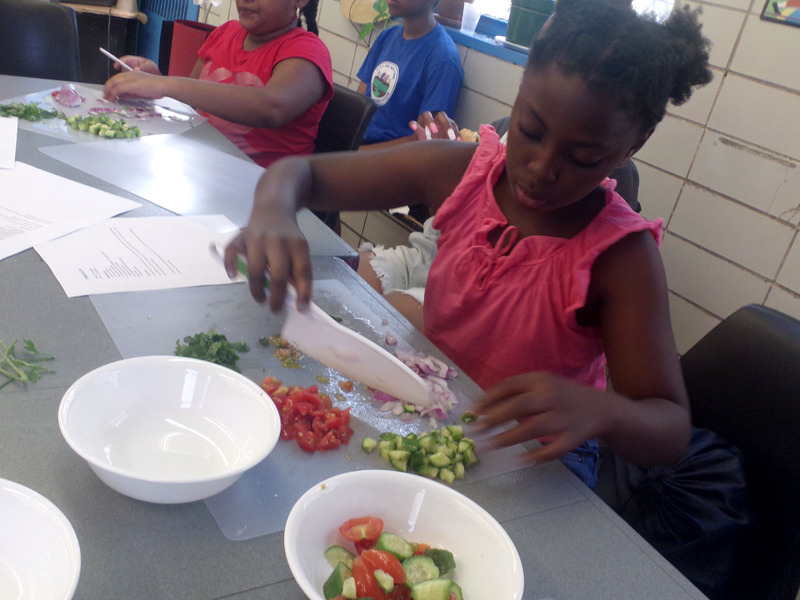 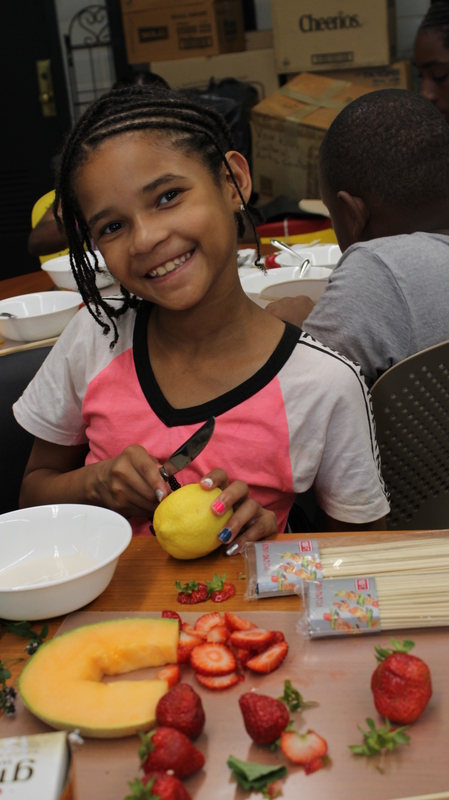 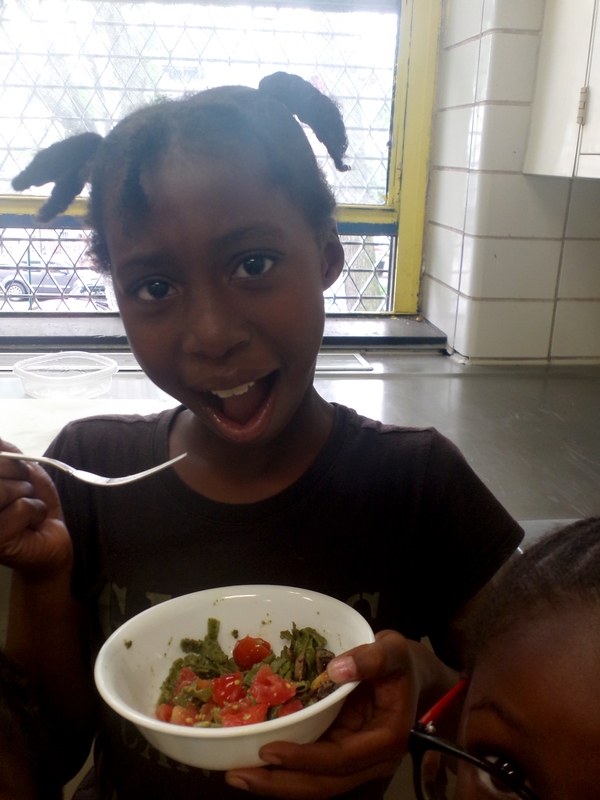 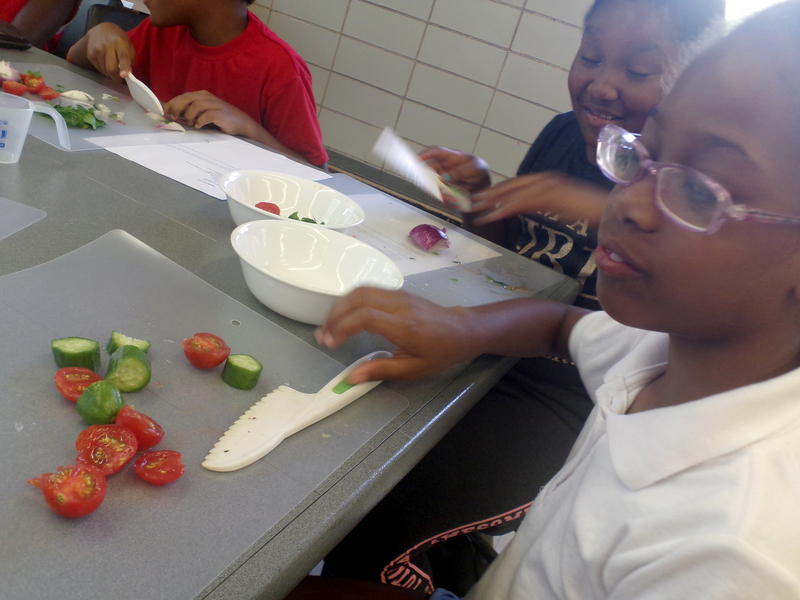 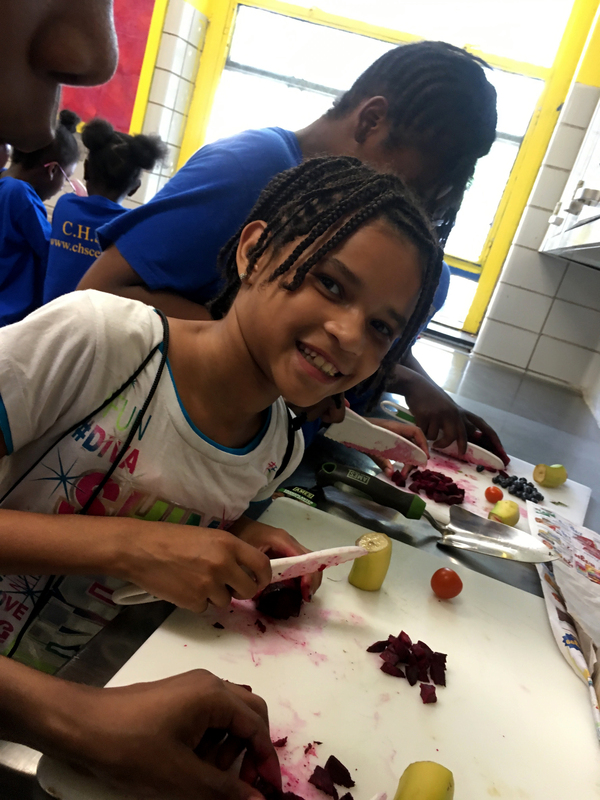 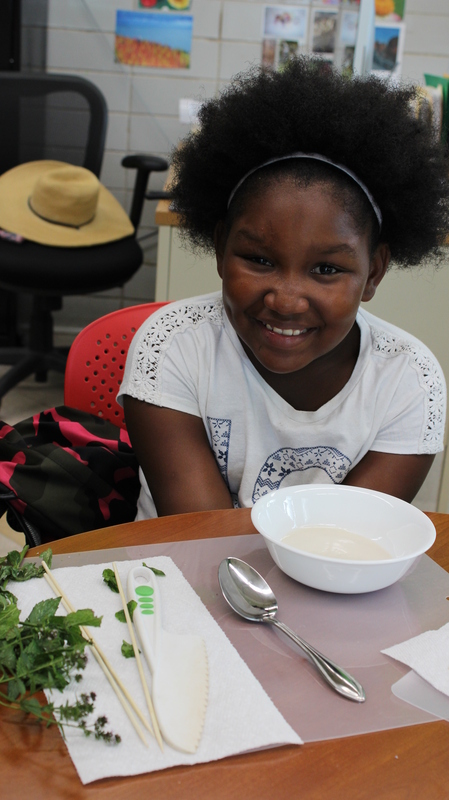 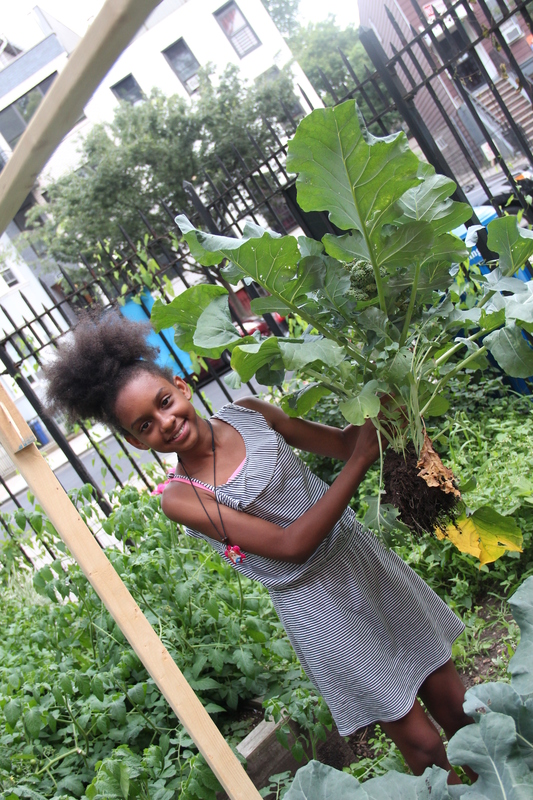 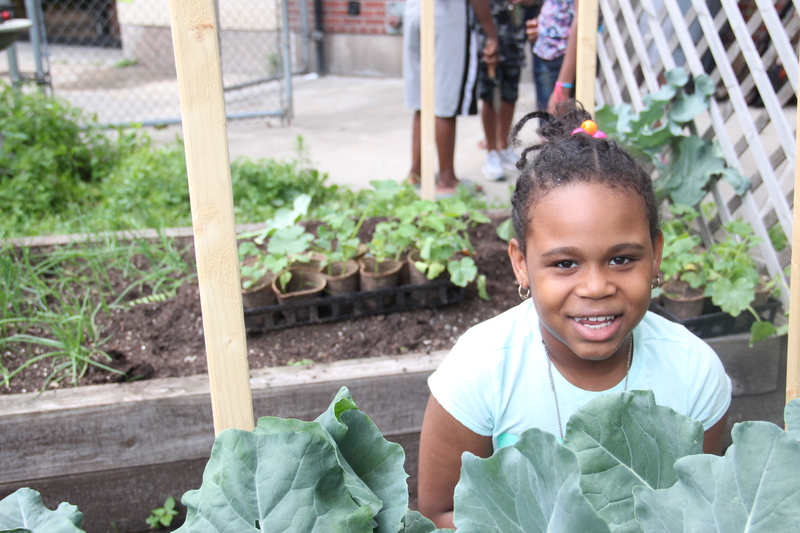 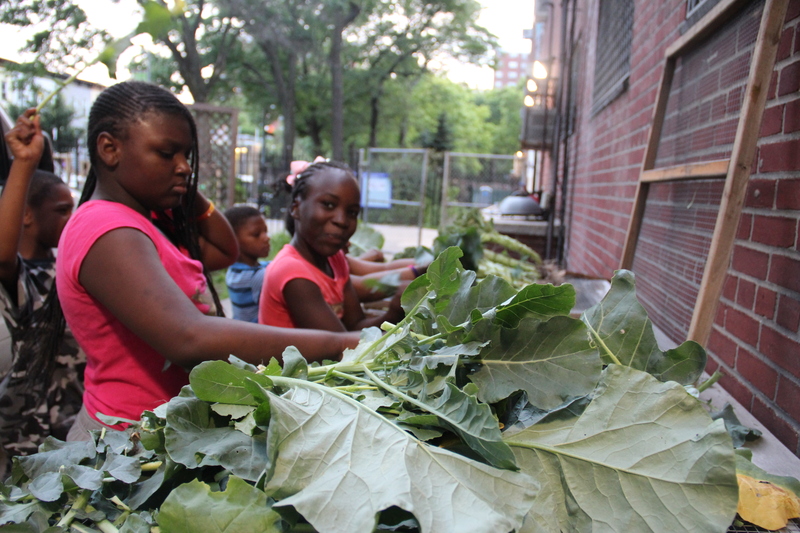 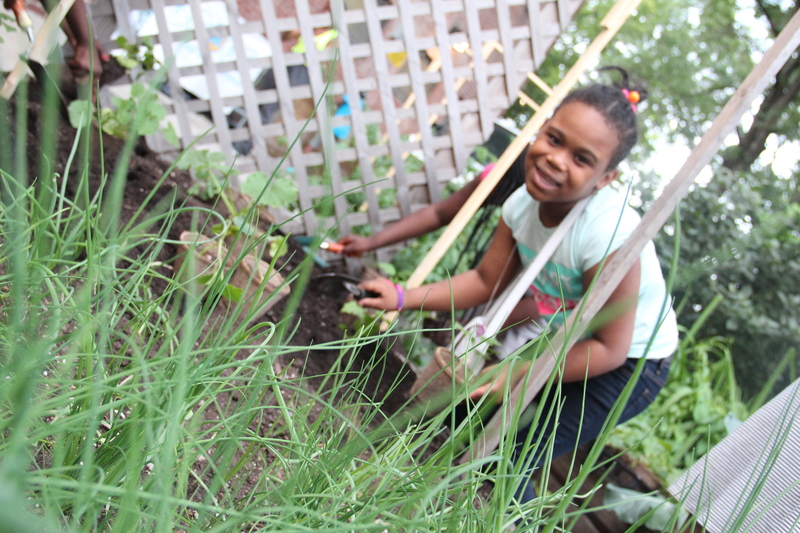 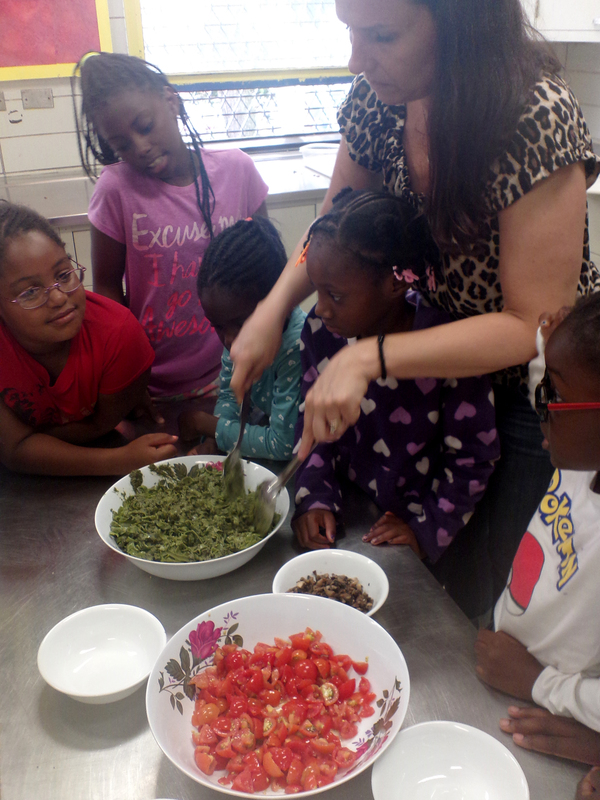 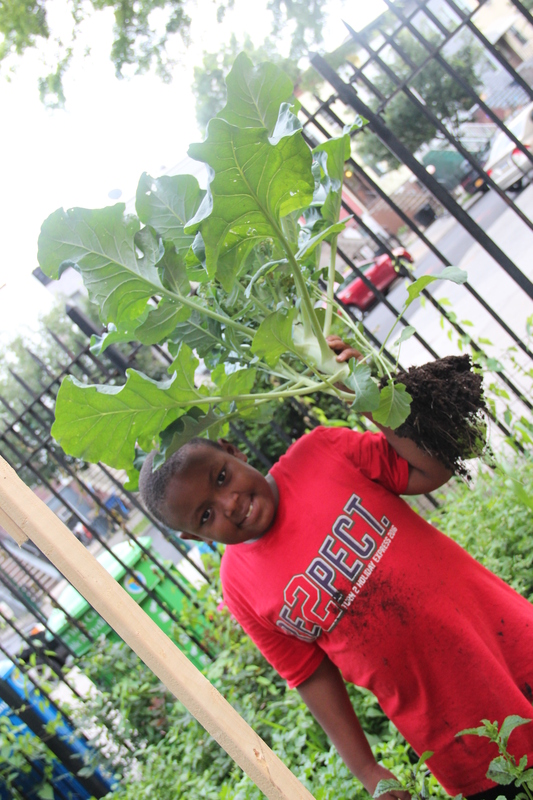 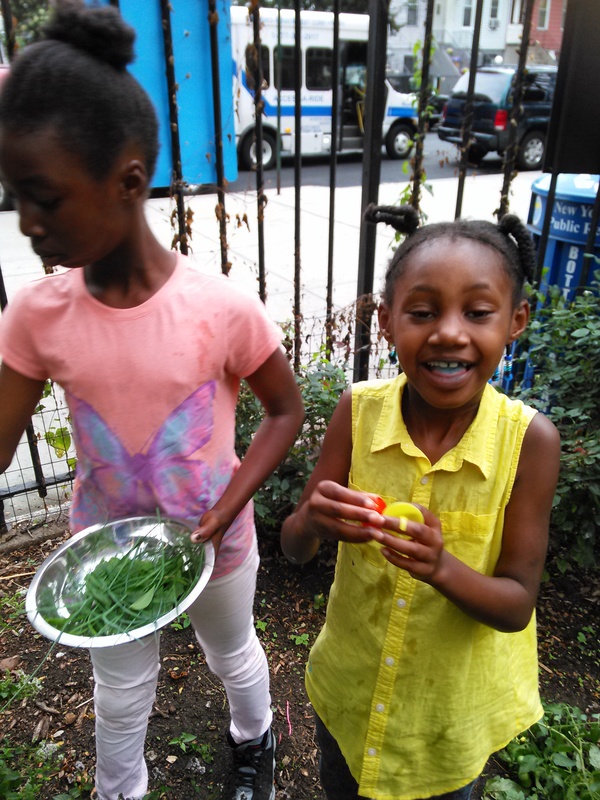 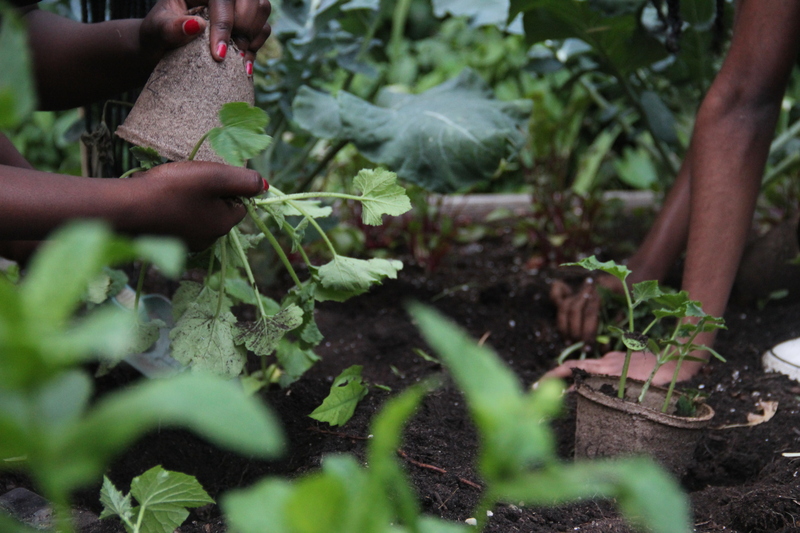 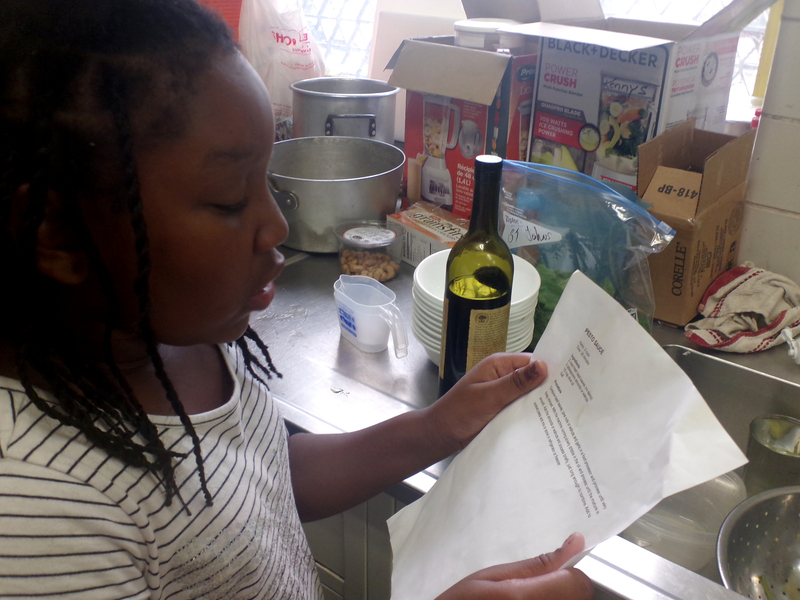 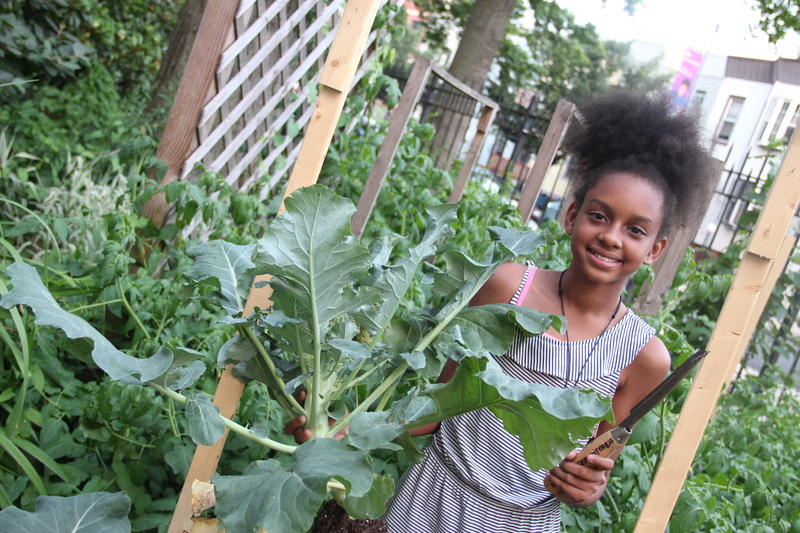 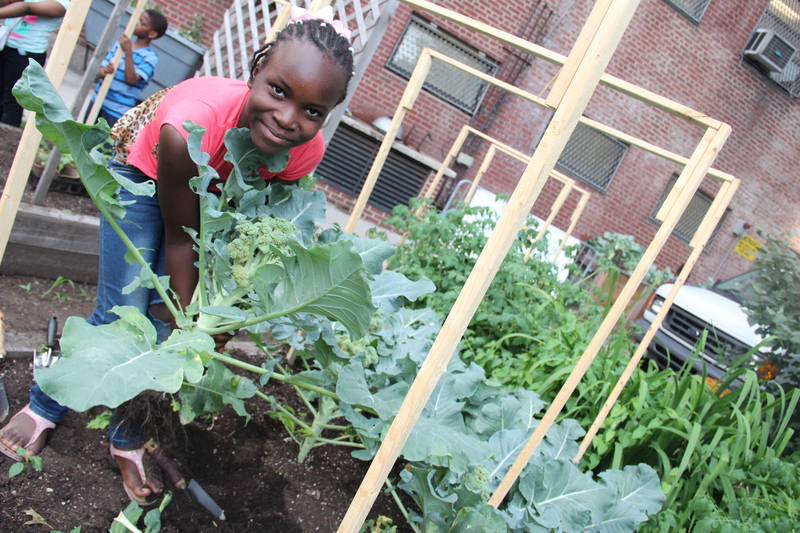 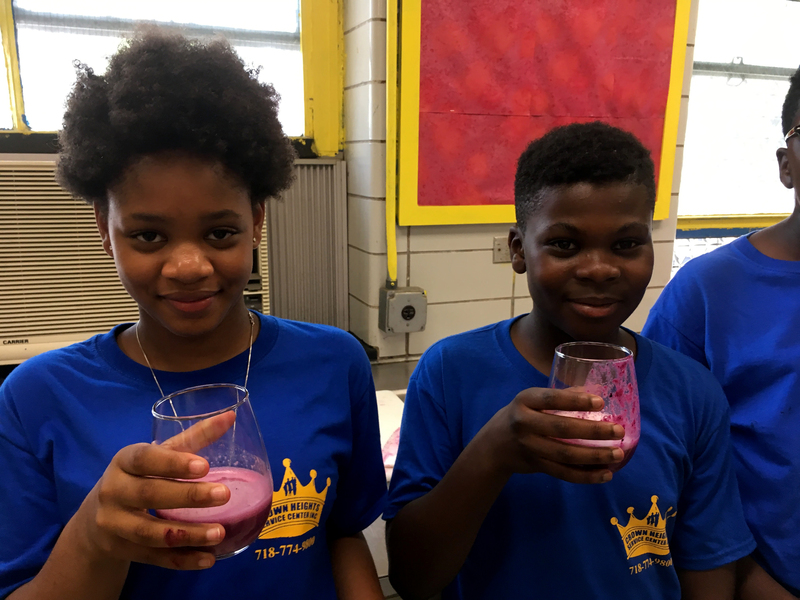 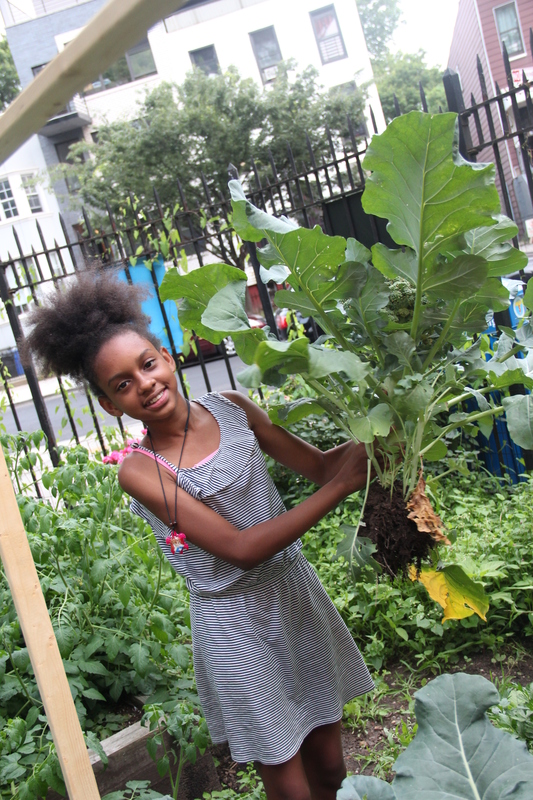 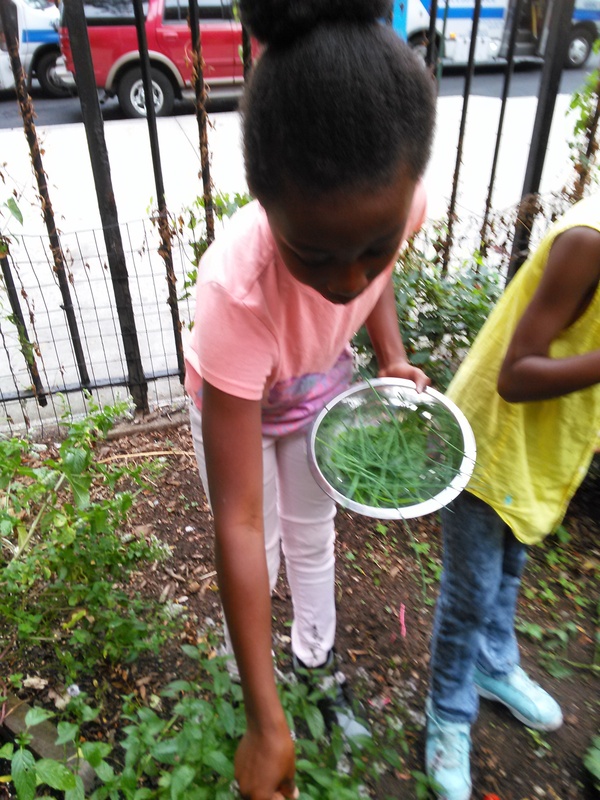 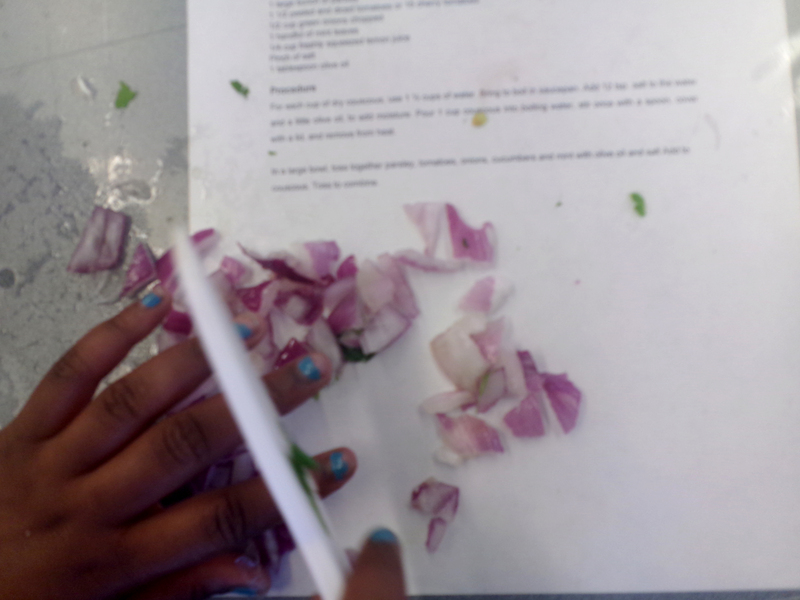 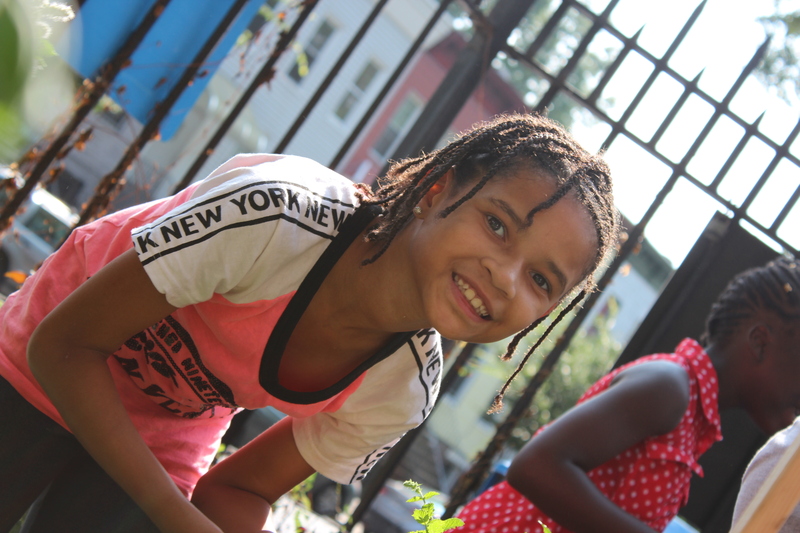 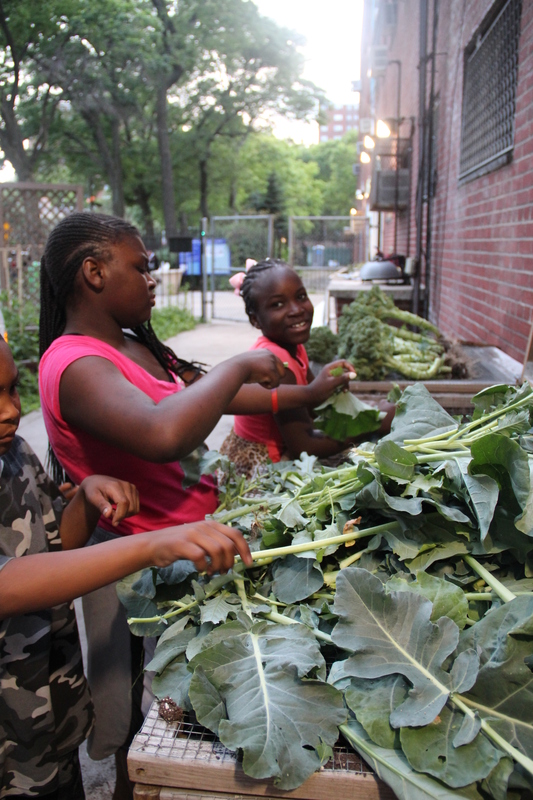 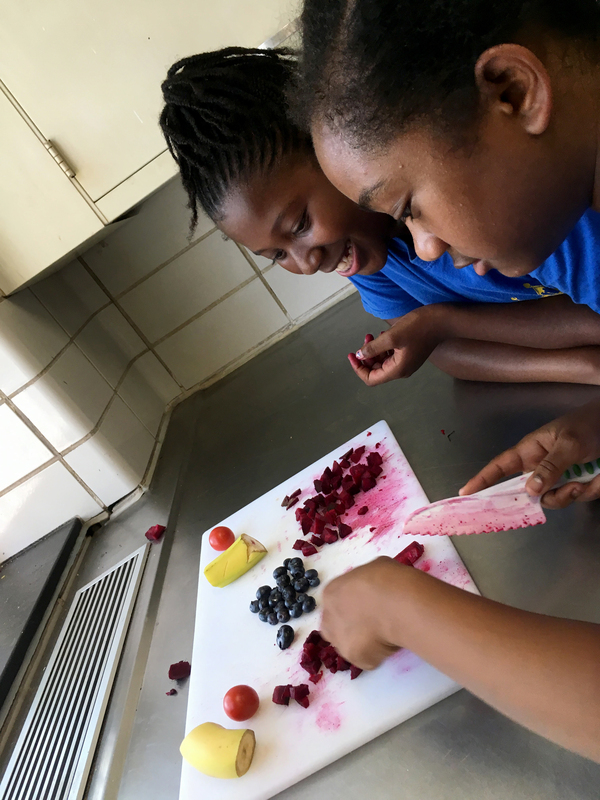 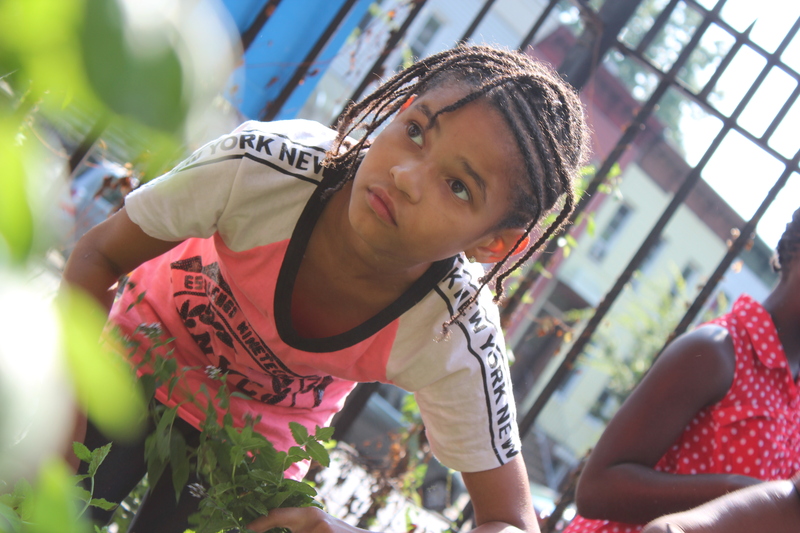 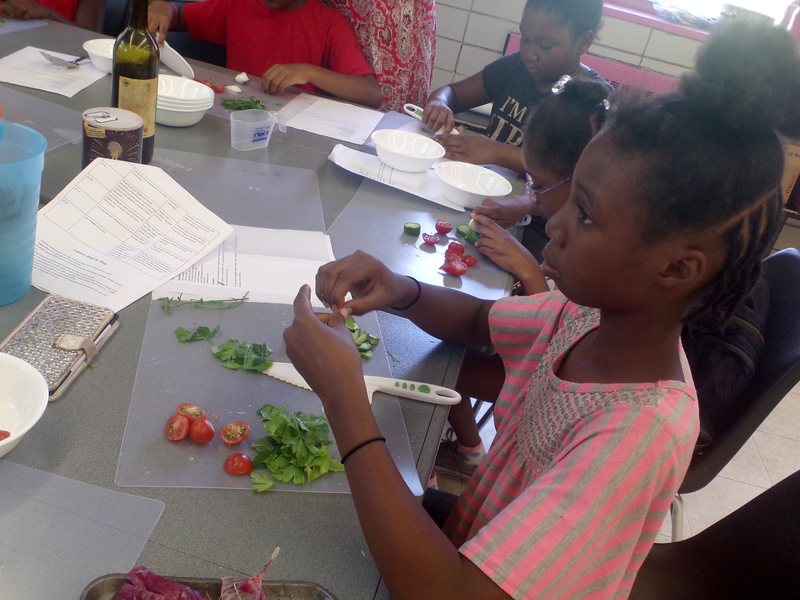 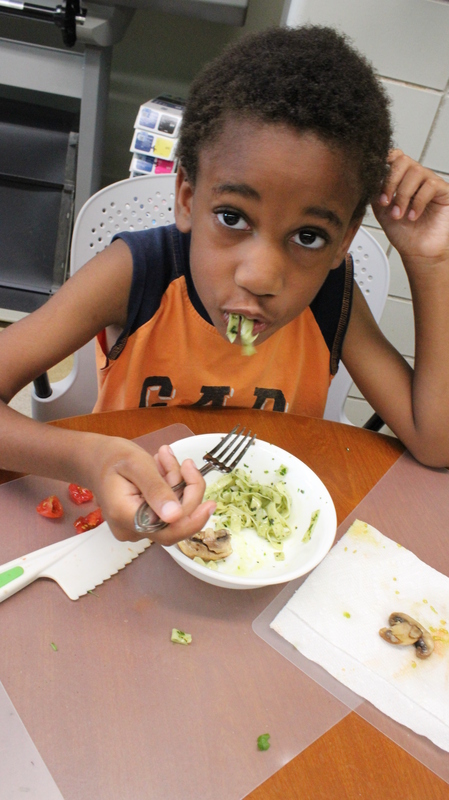 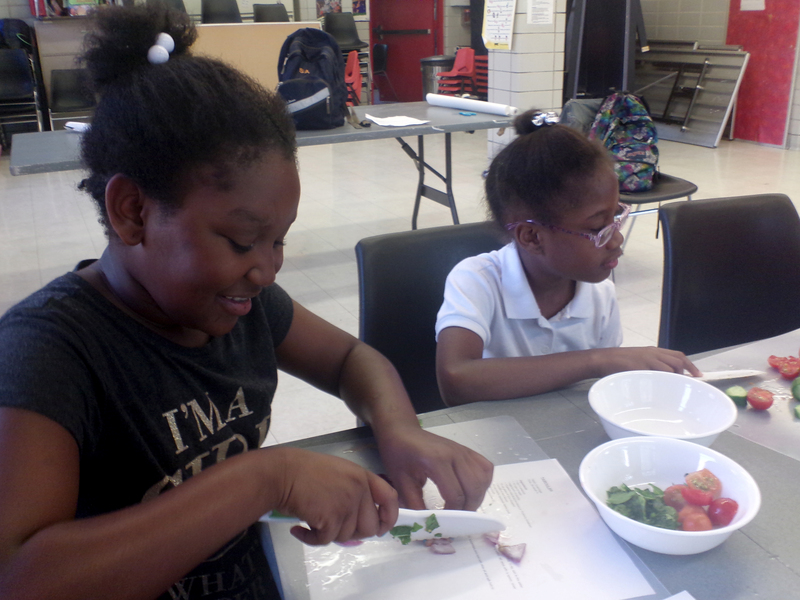 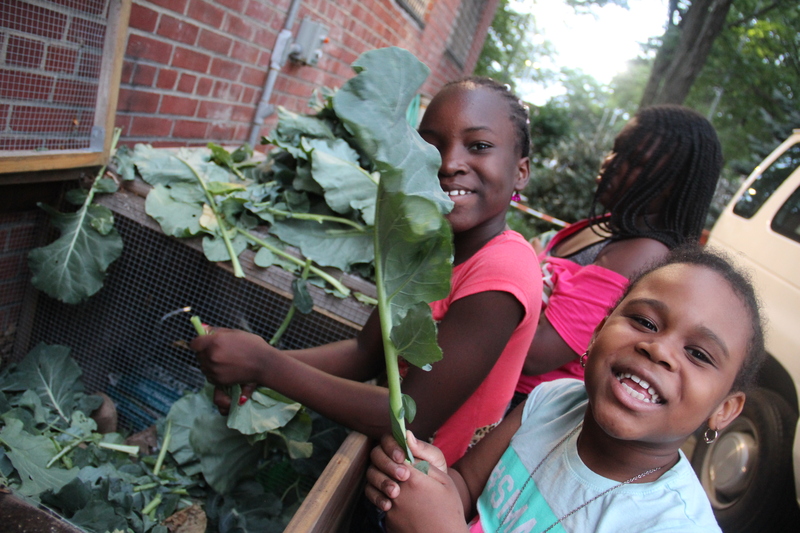 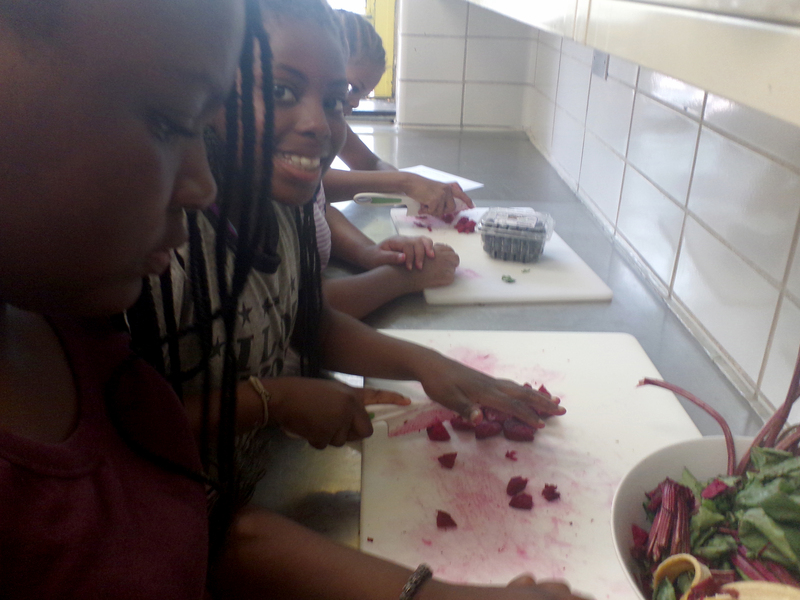 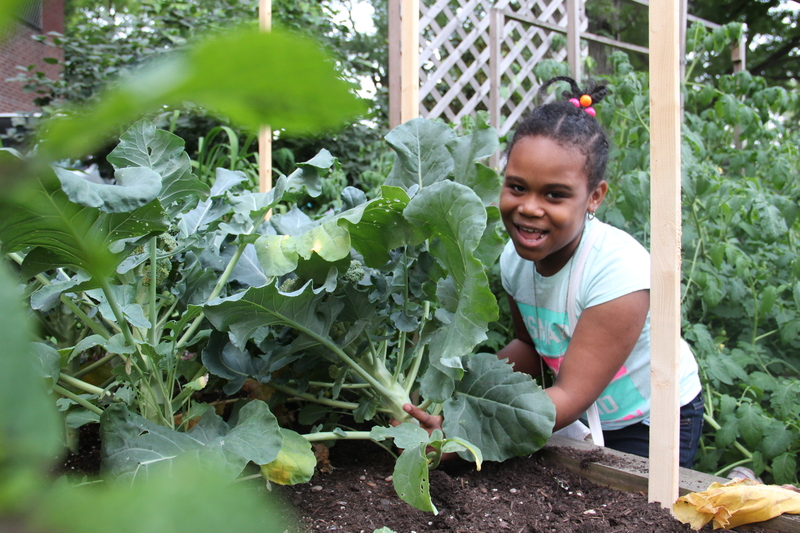 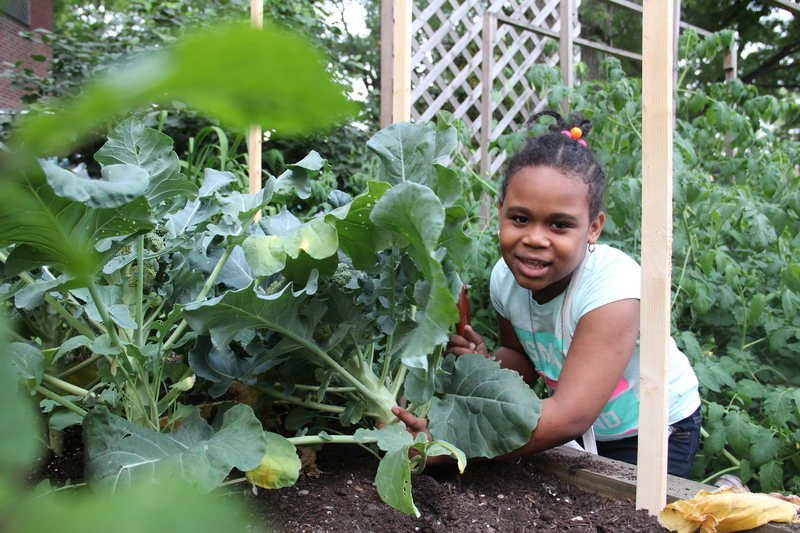 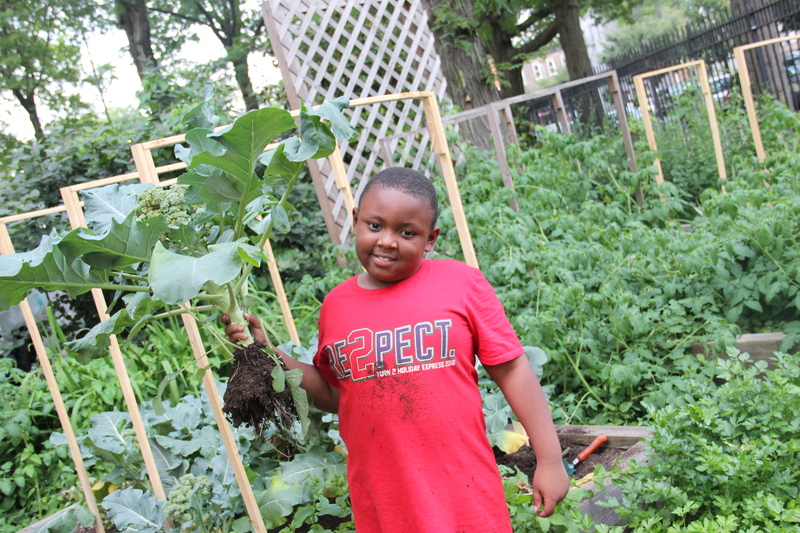 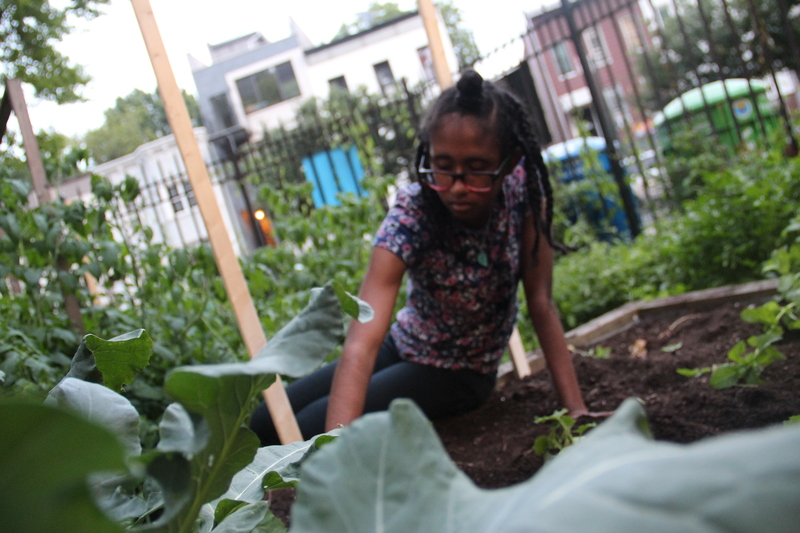 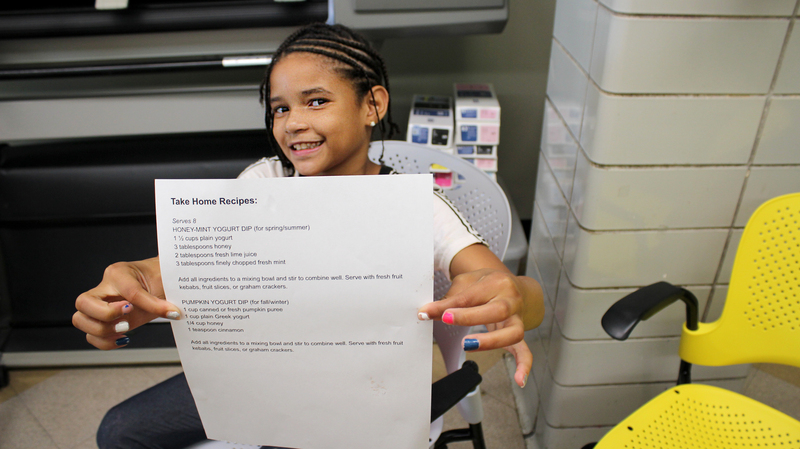 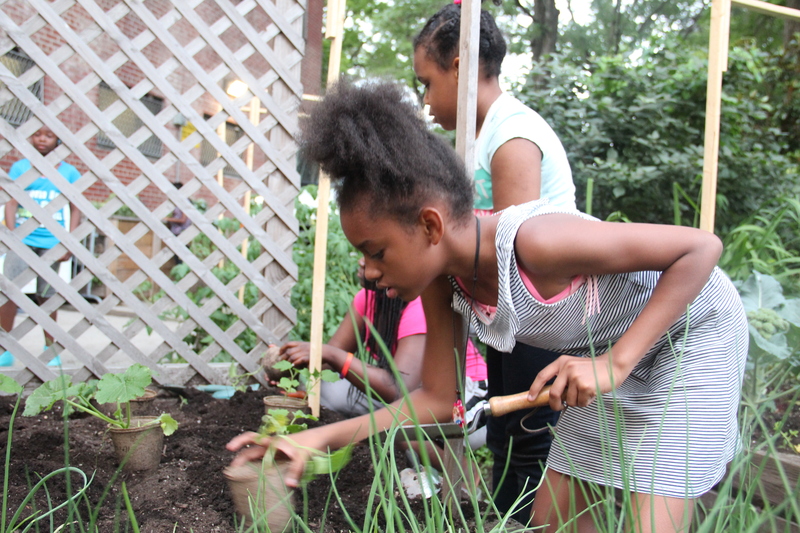 The children learn how to cook and bring the recipes back home to teach their parents how to go from garden-to-table! 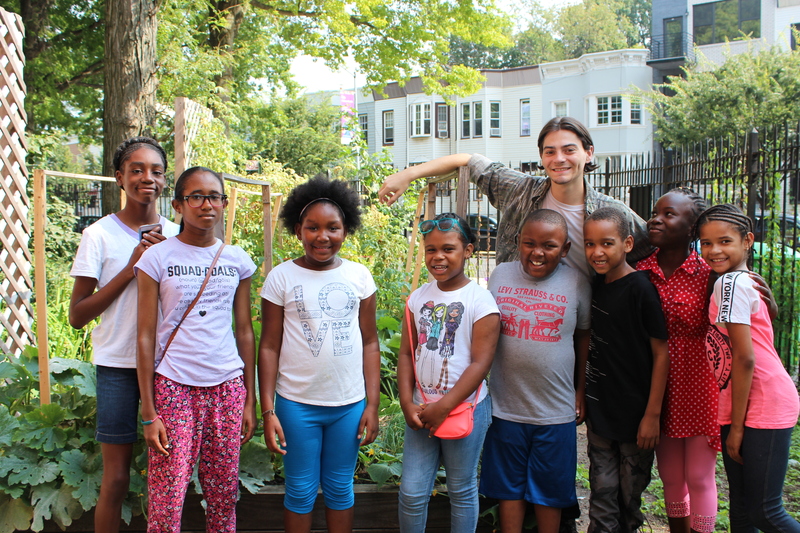 This is was our last class with Dianne Bliffeld, our Board of Eduction teacher who so generously donated her time this summer. 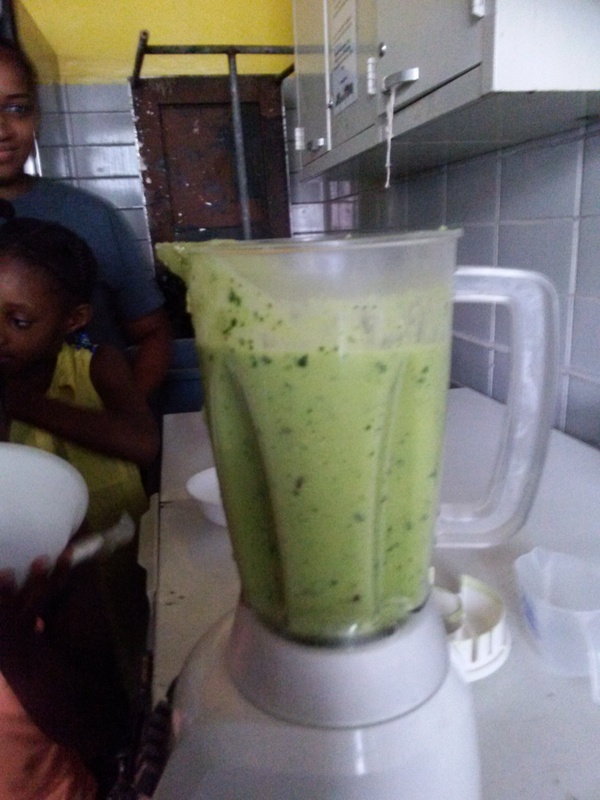 Categories: agriculture, children, cooking, food, greens, growing, health, organic | Tags: avocado, cashewyogurt, cucumber, FabiolaCáceres, FarmToTable, FarmToTableNYC, foodlab, plantbased | Permalink. 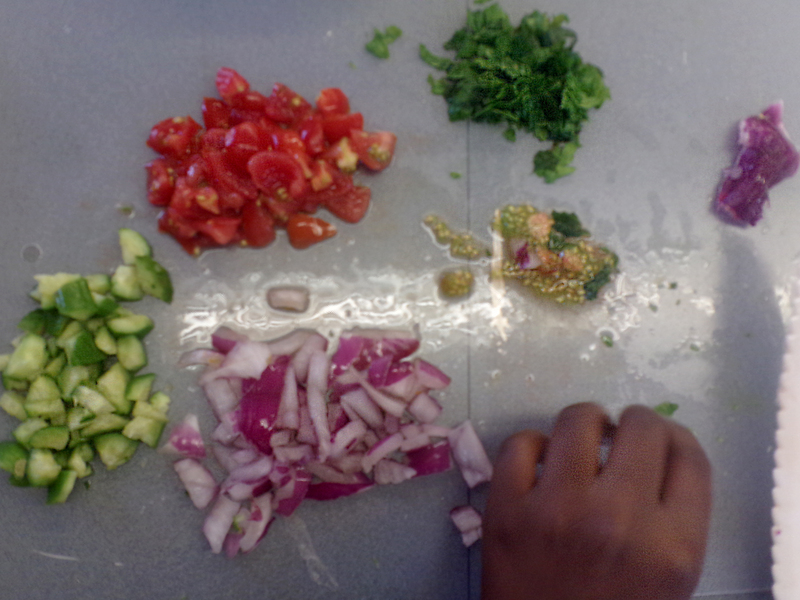 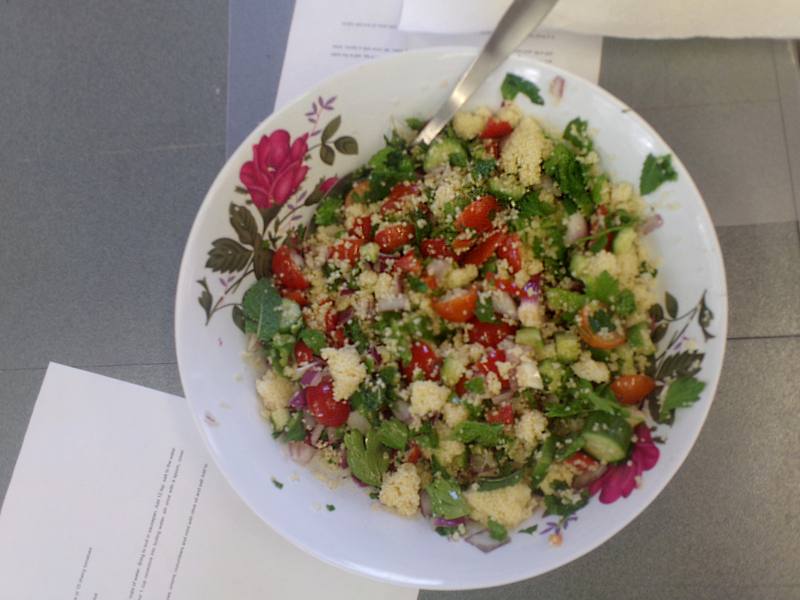 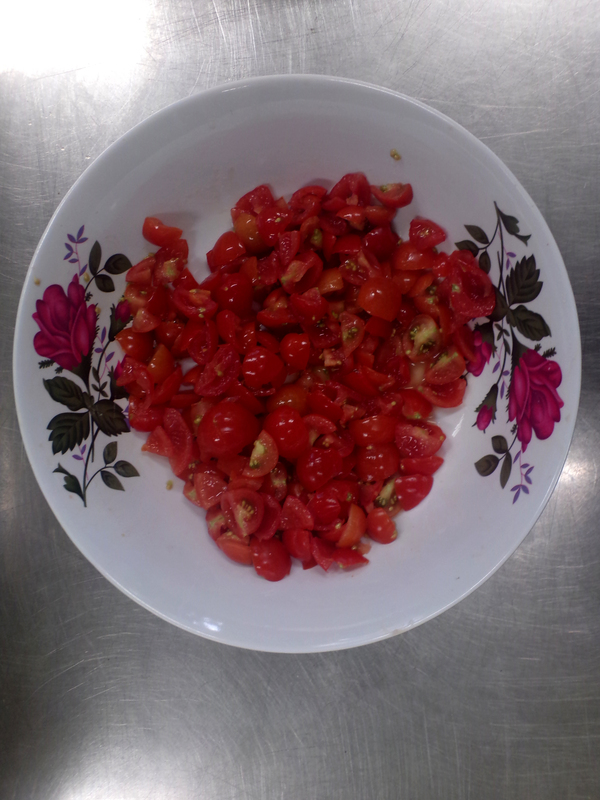 This salad is one of the children’s favorite and brings an opportunity to learn about different cultures through food. 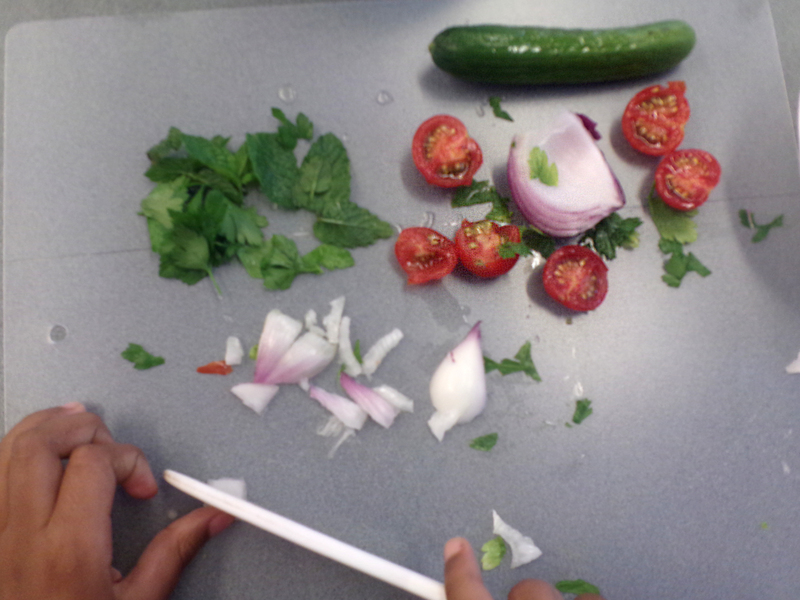 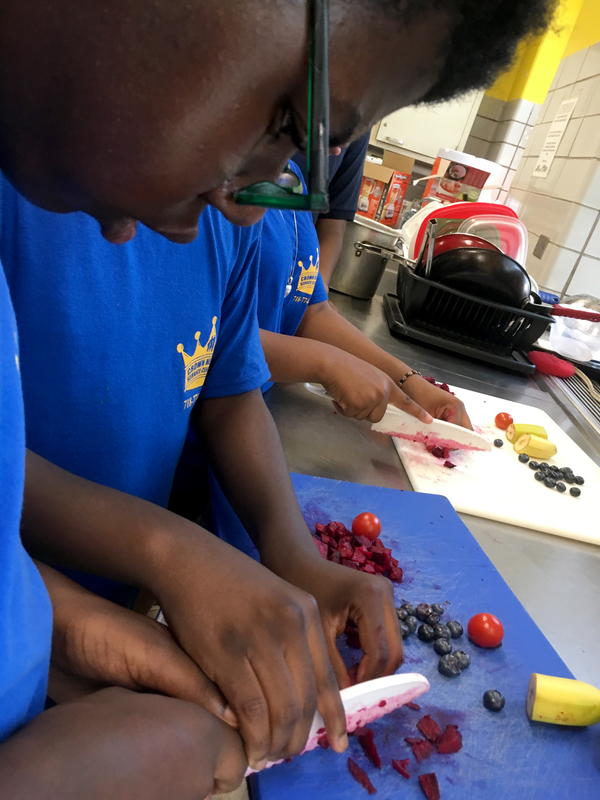 The students learn about Syria, Lebanon, Turkey among other countries where this salad comes from, all the vegetables and herbs come from our garden making this recipe a true garden-to-table recipe. 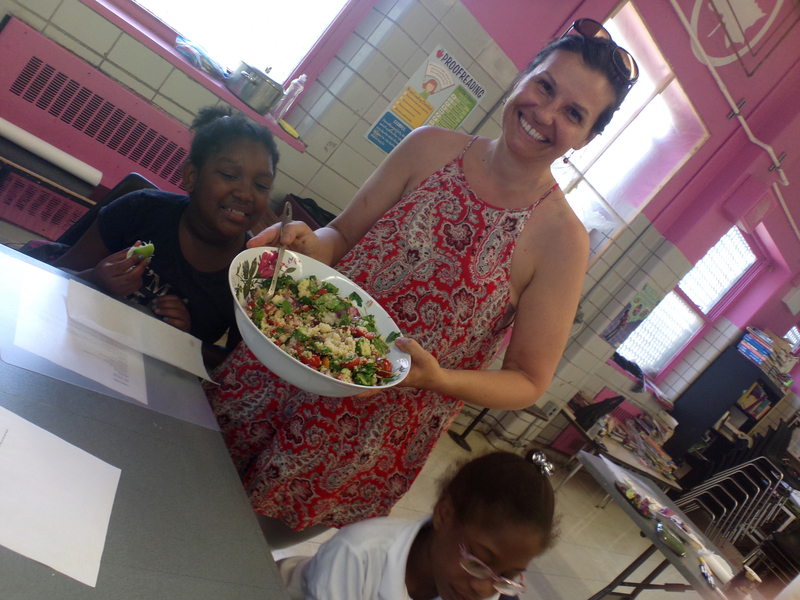 Another wonderful experience with Dianne Bliffeld, our new Board of Education instructor. 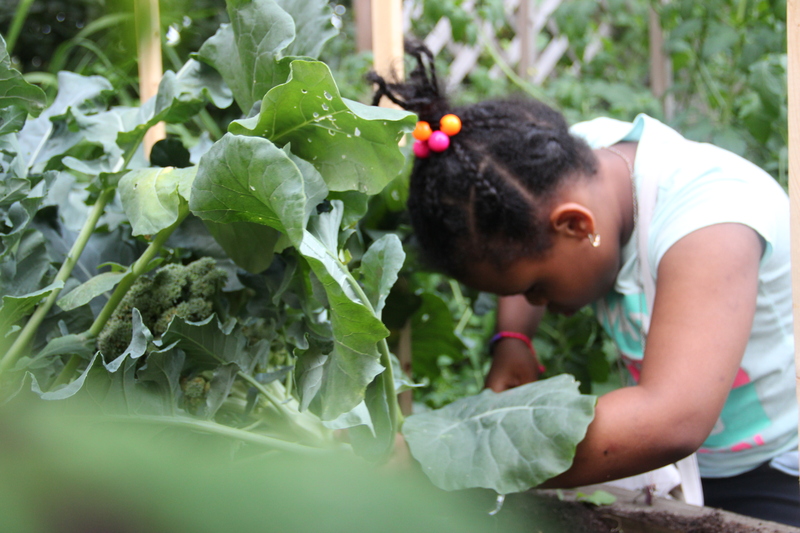 Categories: agriculture, children, cooking, food, greens, growing, health, organic | Tags: barley, cucumber, FabiolaCáceres, FarmToTableNYC, foodlab, mint, onions, parsley, plantbased, tabbouleh, tomatoes | Permalink. 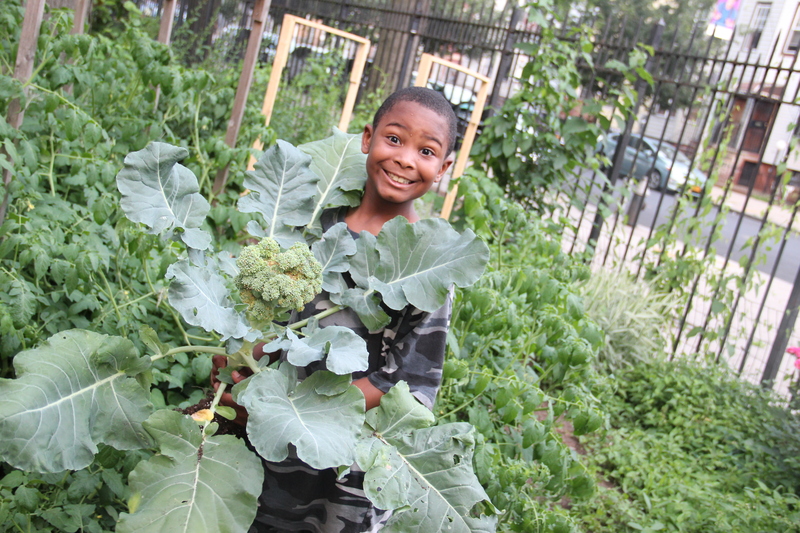 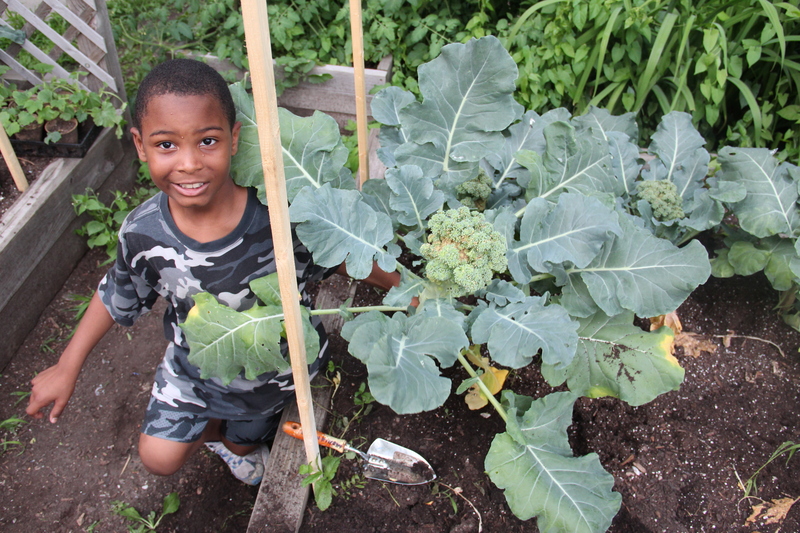 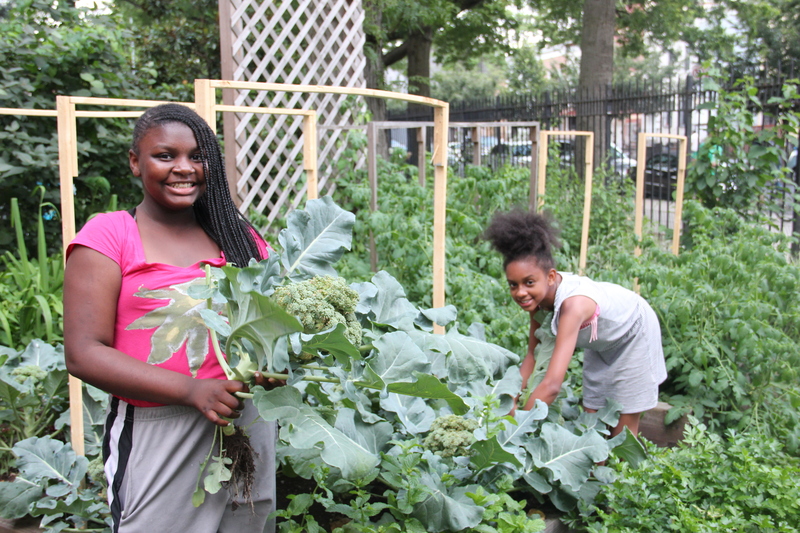 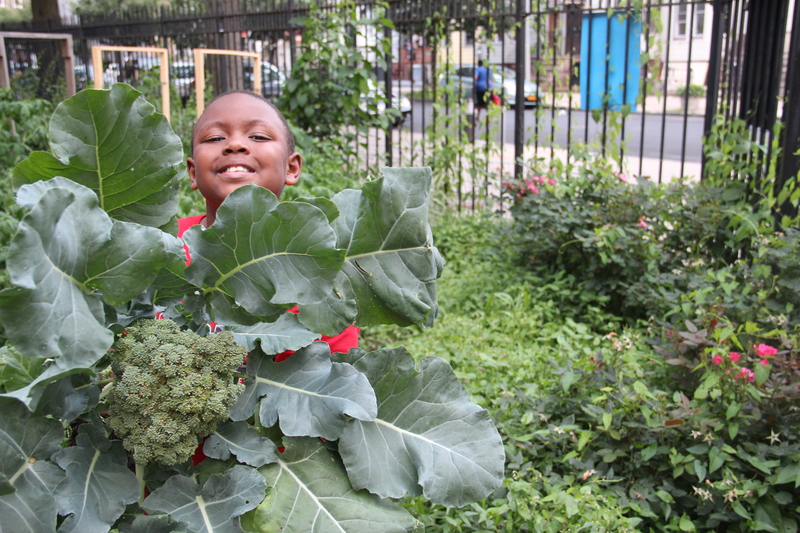 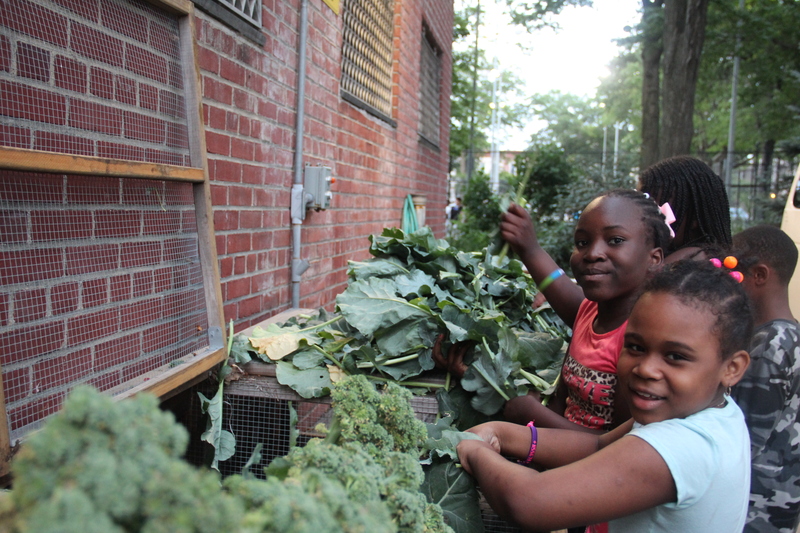 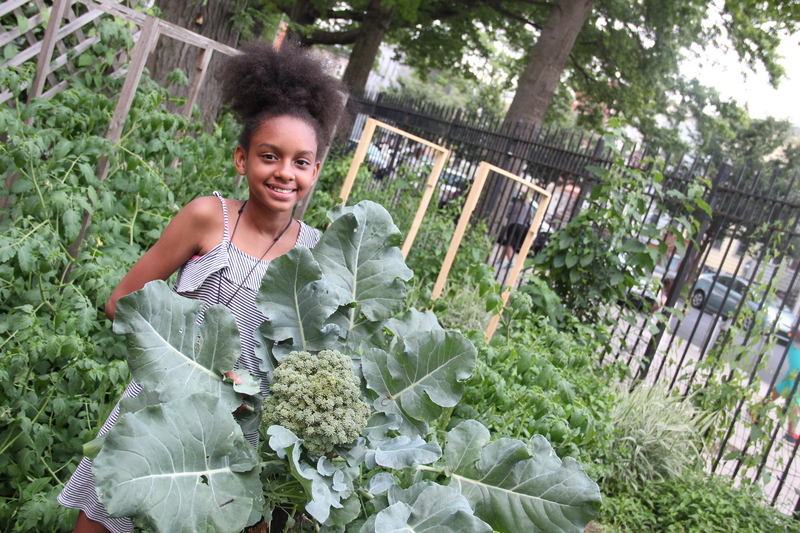 Broccoli Bonanza at St. John’s Garden Kitchen Lab! 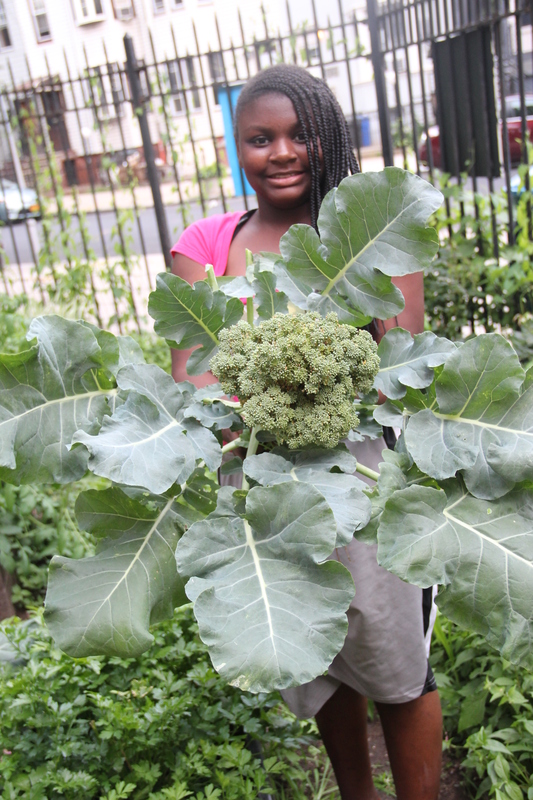 We had almost 30 pounds of harvested broccoli this year! 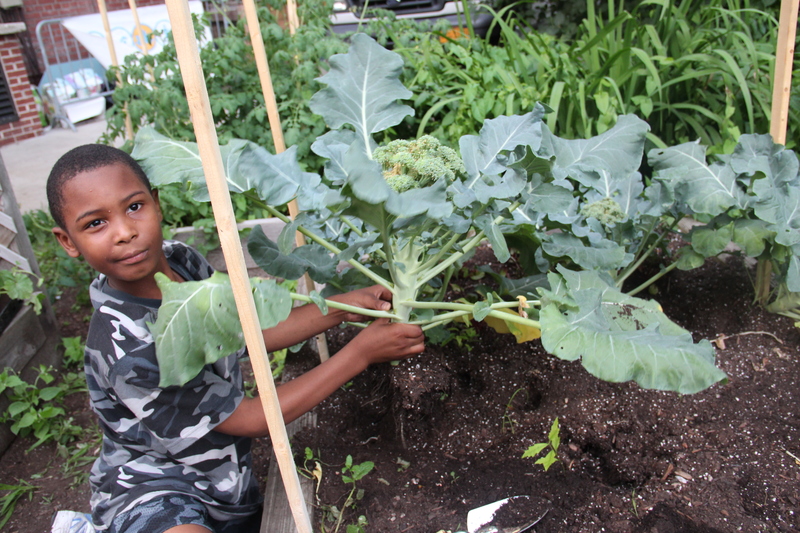 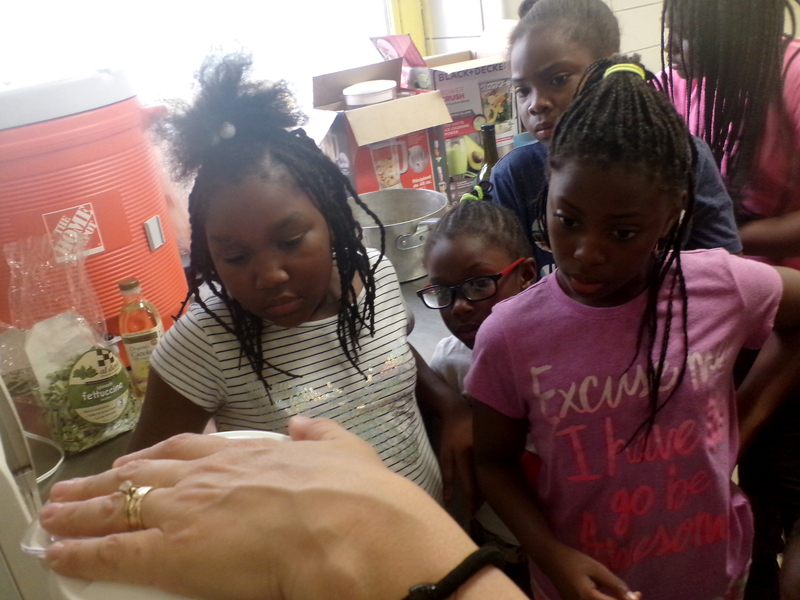 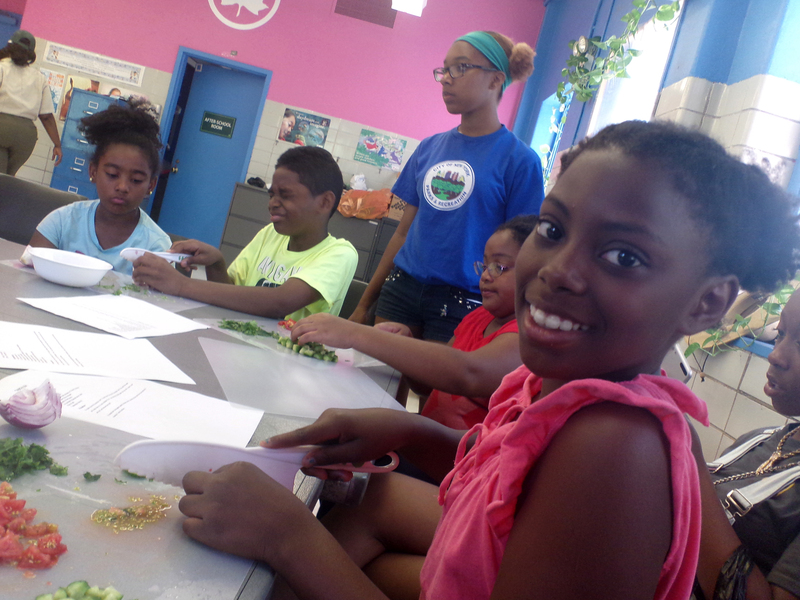 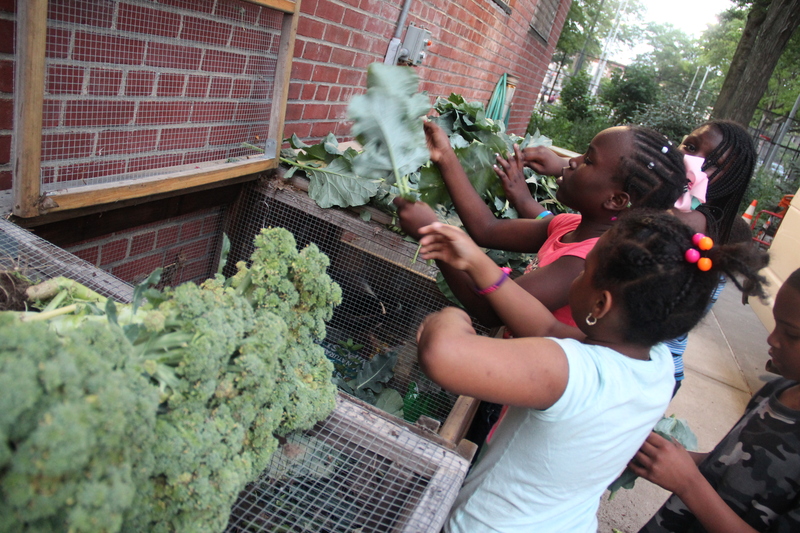 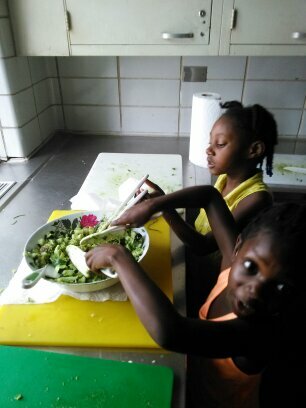 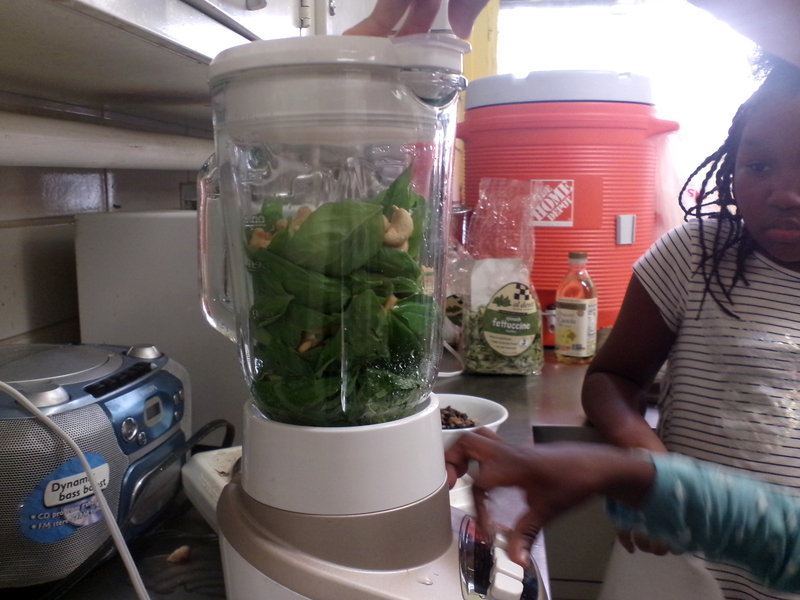 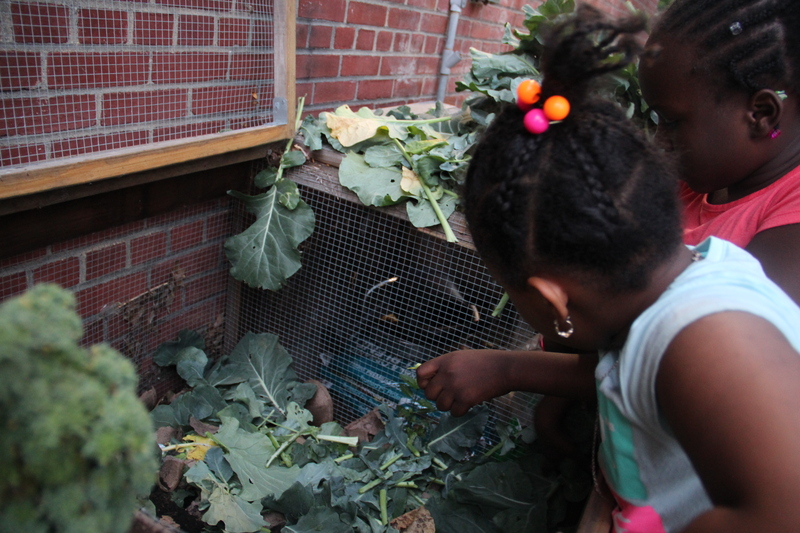 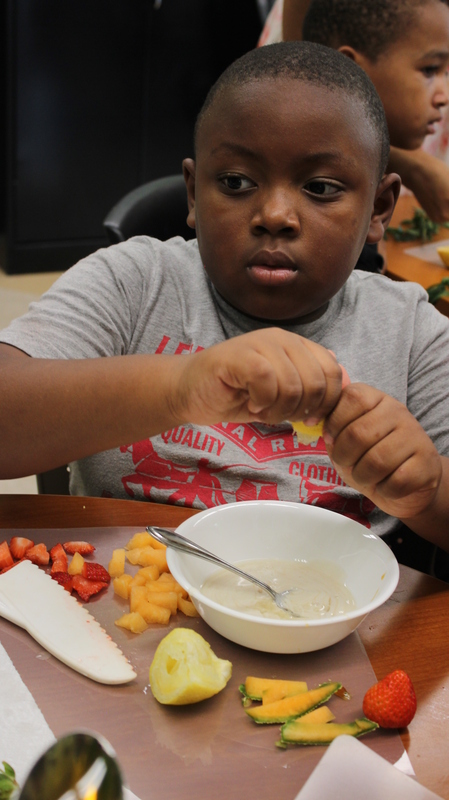 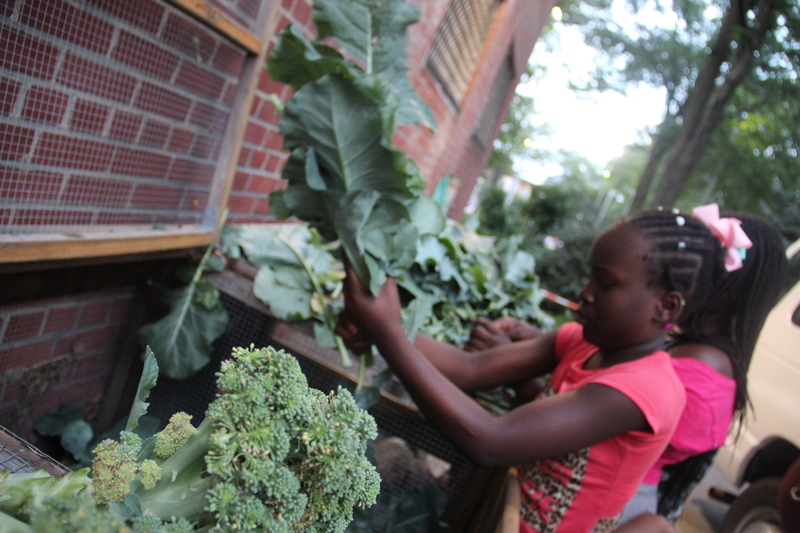 The children learned how to harvest and prepare steamed broccoli during this class. 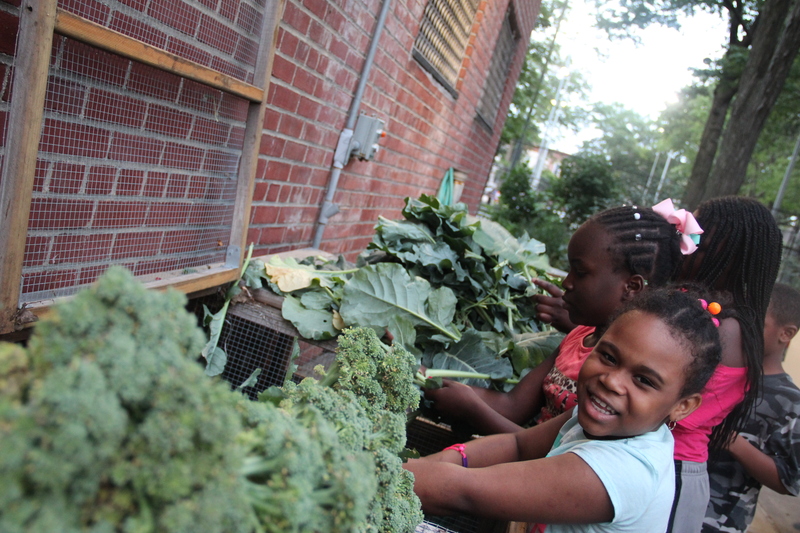 Here our very proud group of children on that day. 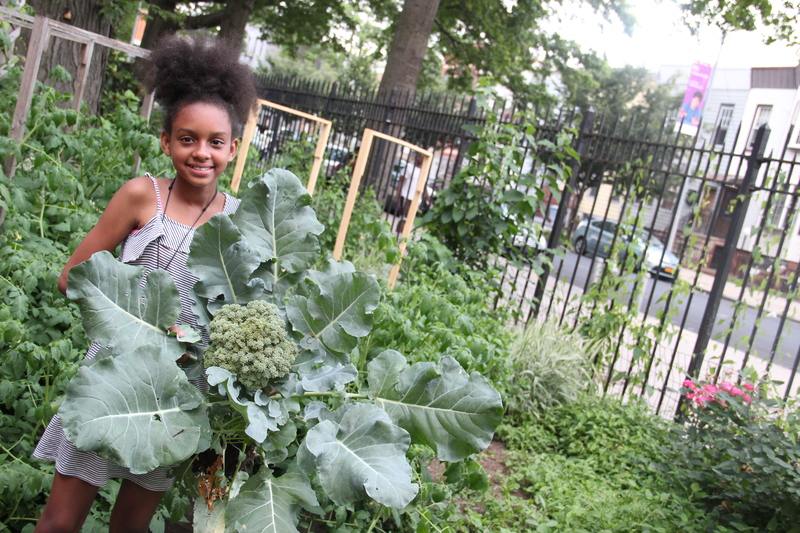 Categories: agriculture, children, cooking, food, greens, growing, health, organic | Tags: broccoli, FabiolaCáceres, FoodGardens, foodlab, GardenKitchenLab, plantbased | Permalink.